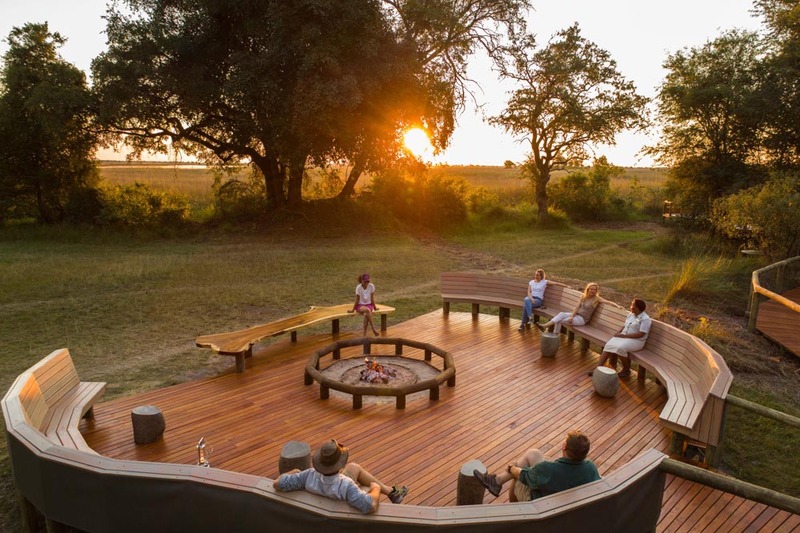 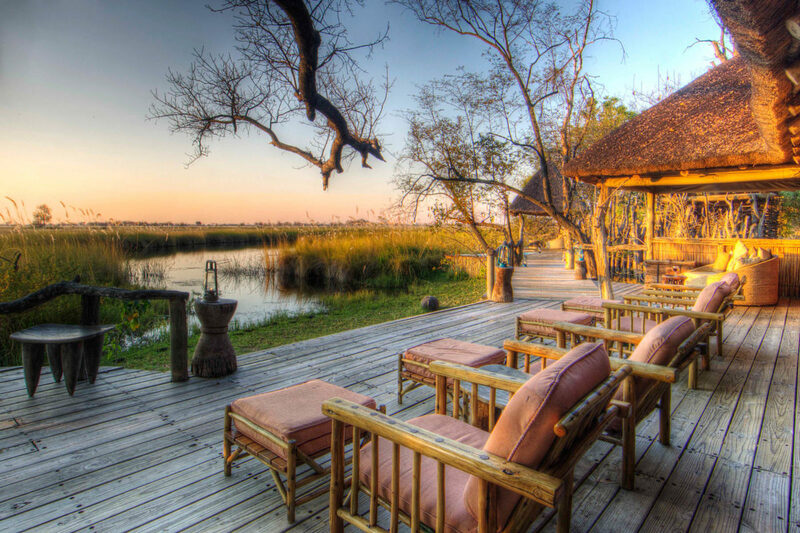 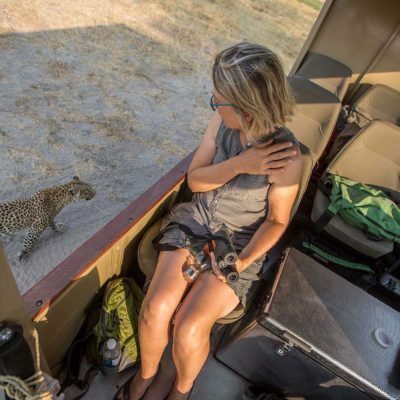 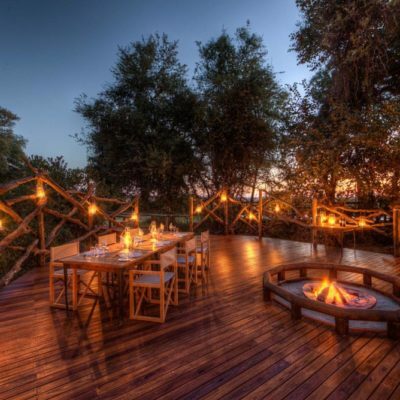 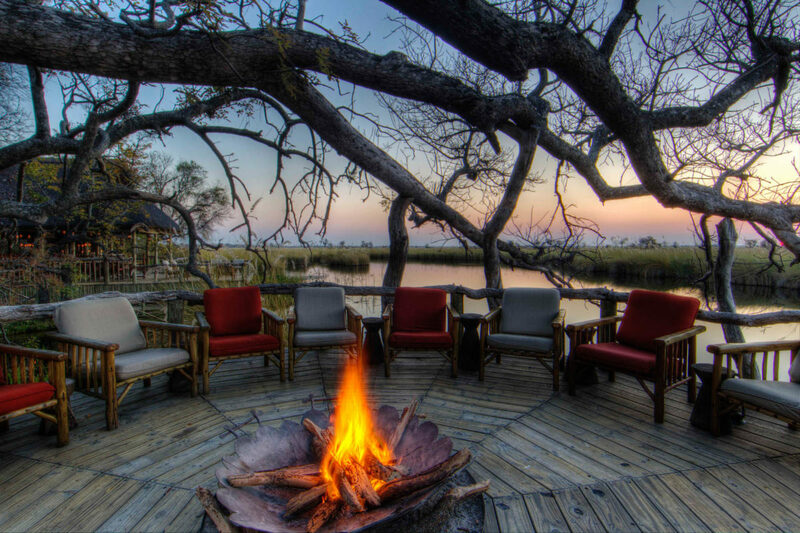 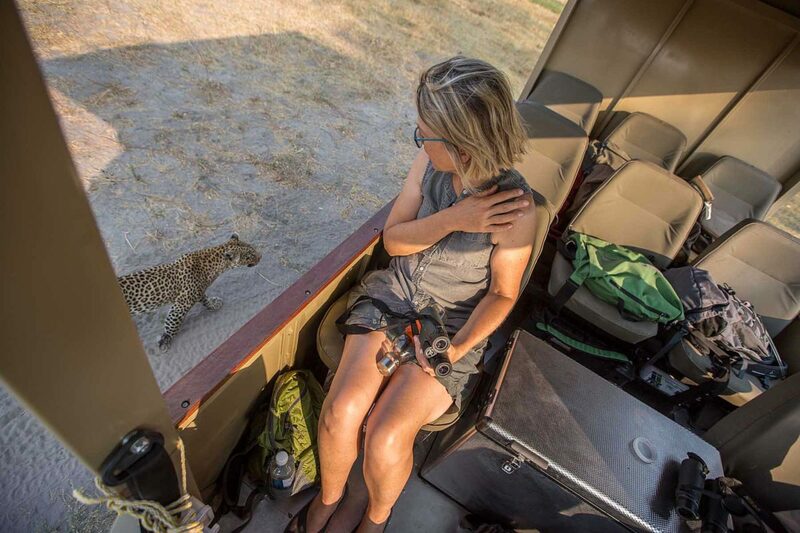 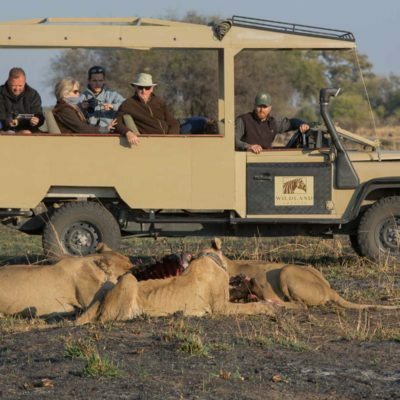 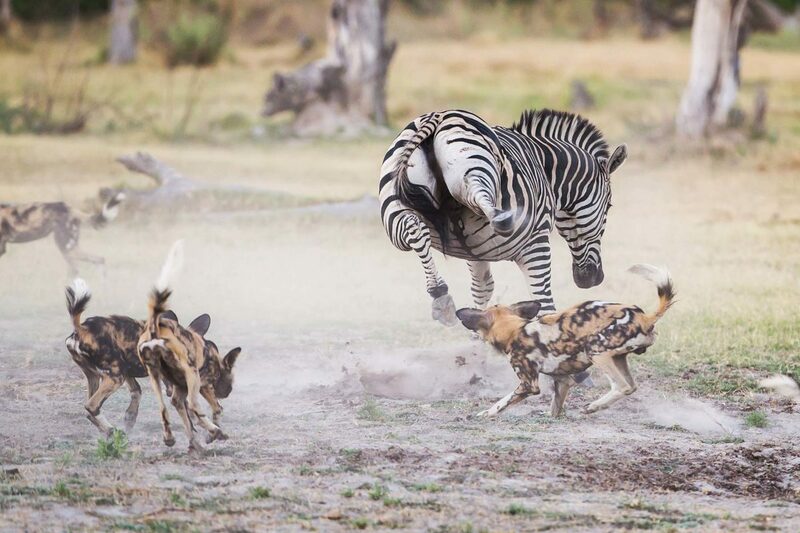 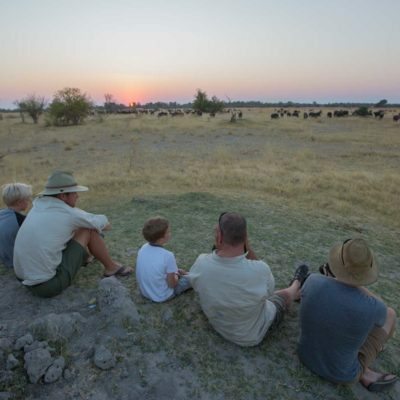 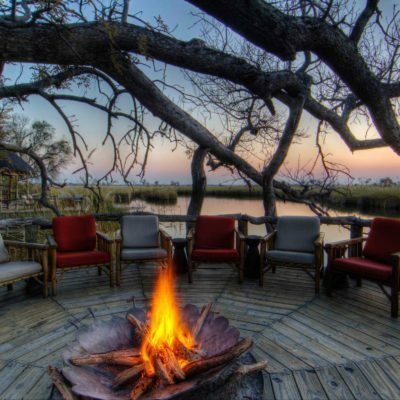 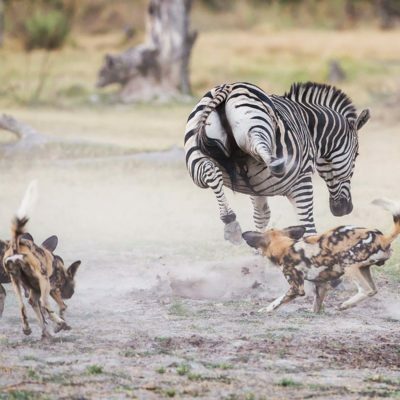 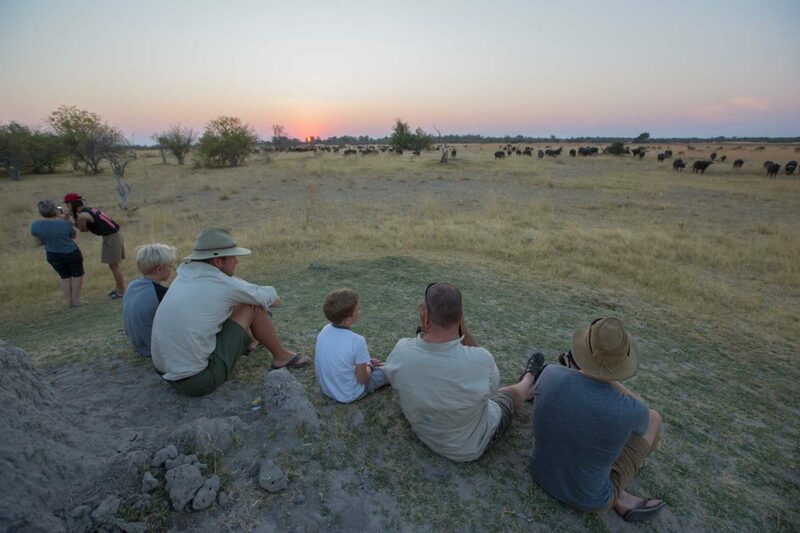 Moremi means wildlife encounters in pure Okavango landscapes. 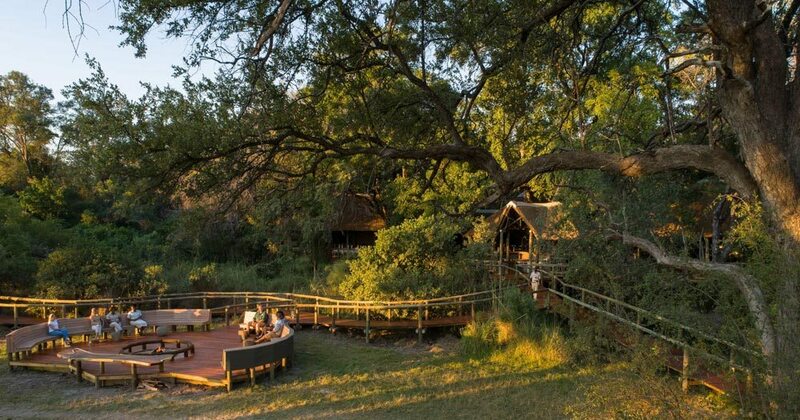 We visit here often and it is Botswana’s most productive park, proven repeatedly with each visit. 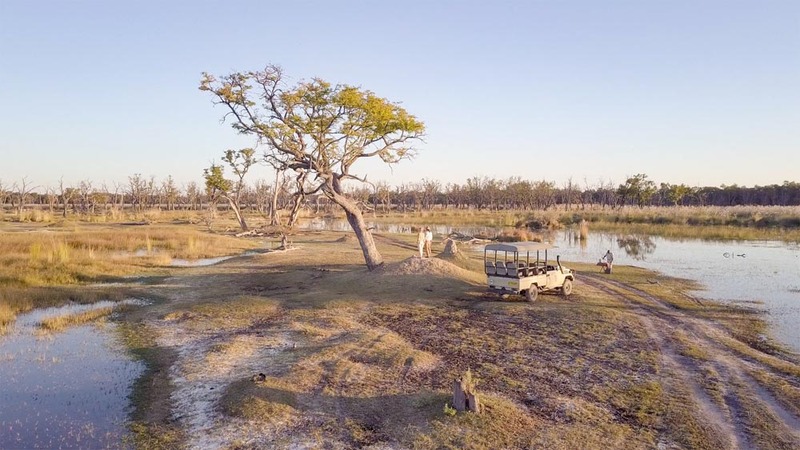 The first stop on many safaris, Moremi is genuine, remote big game country yet is found only a short flight away from our base in Maun. 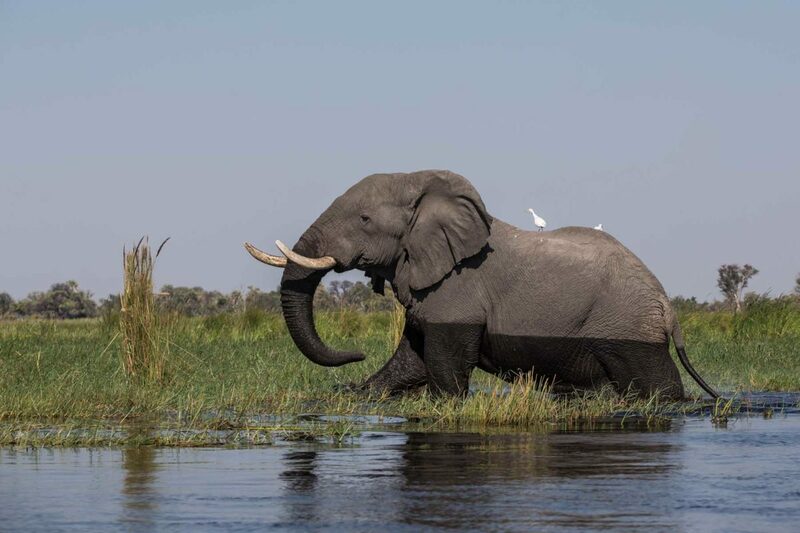 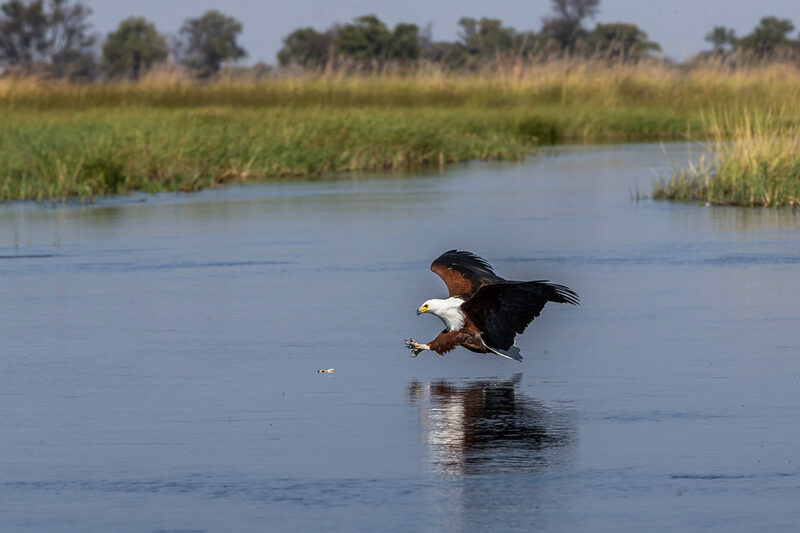 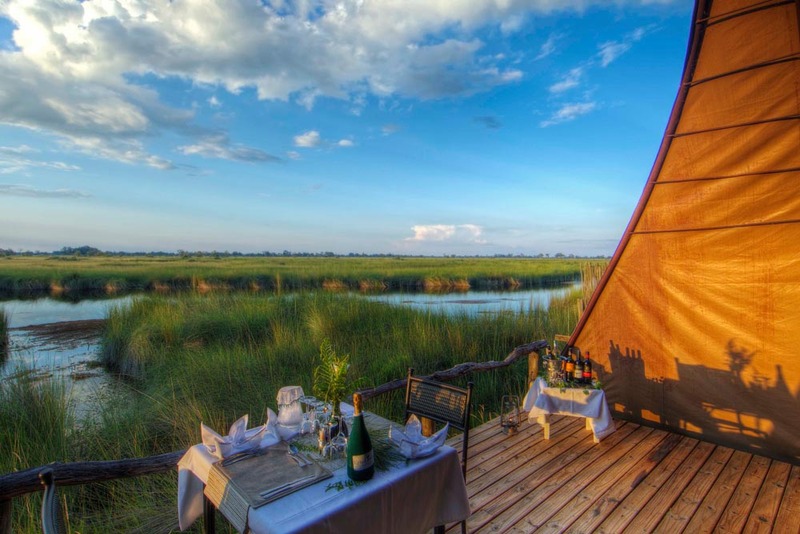 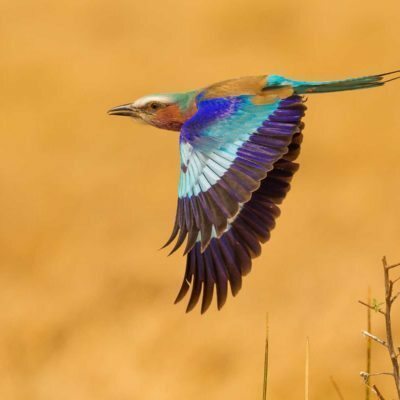 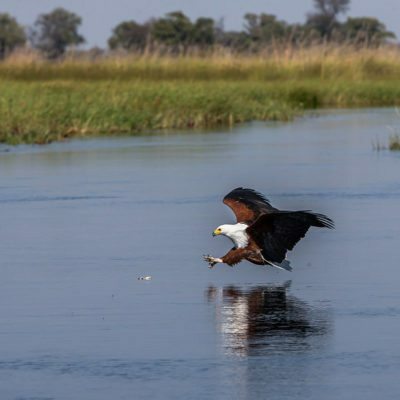 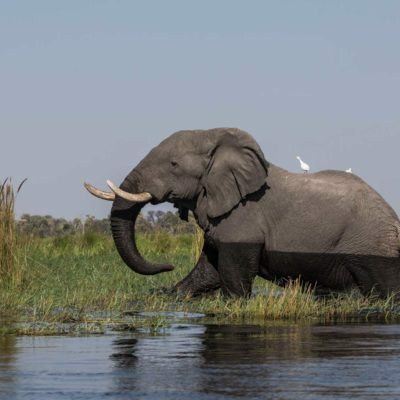 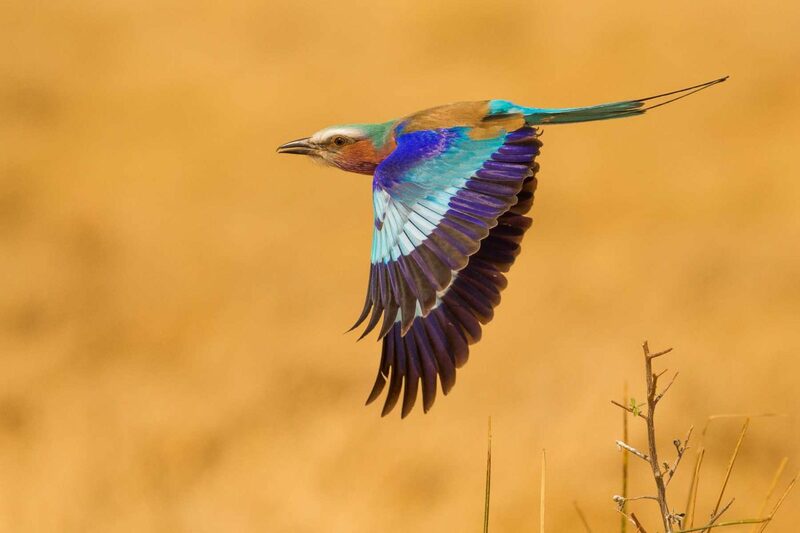 Making up around one third of the Okavango Delta, Moremi offers swamps, rivers and flooded grasslands that attract birdlife and big game in abundance. 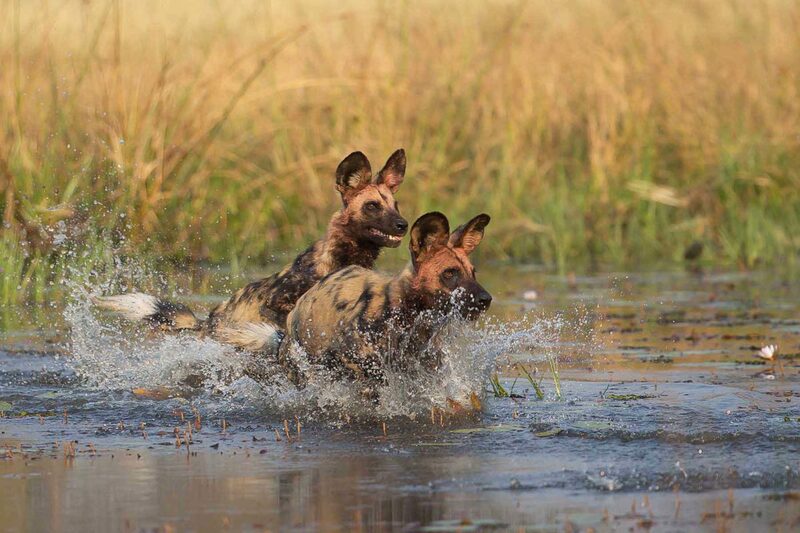 Permanent swamps and rivers overflow, fed by the annual flood pulse from Angolan rain, to flood most of the park. 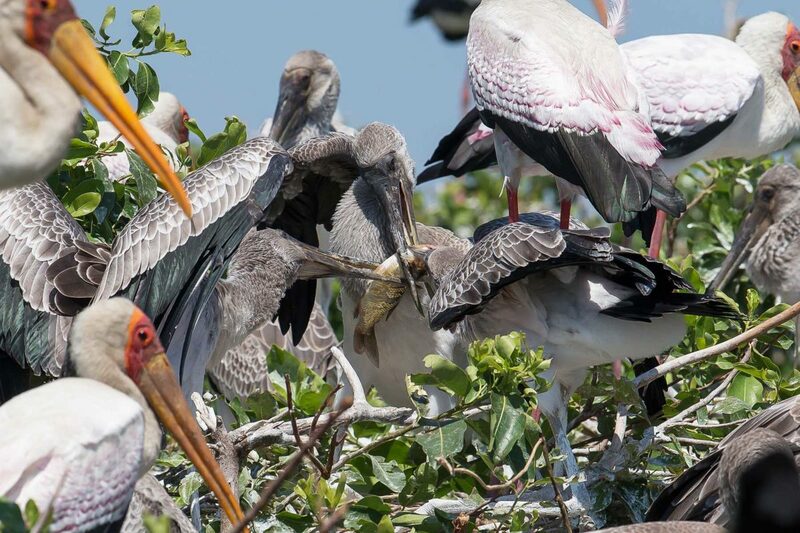 This sustains the life here, renewing the nutrient cycle. 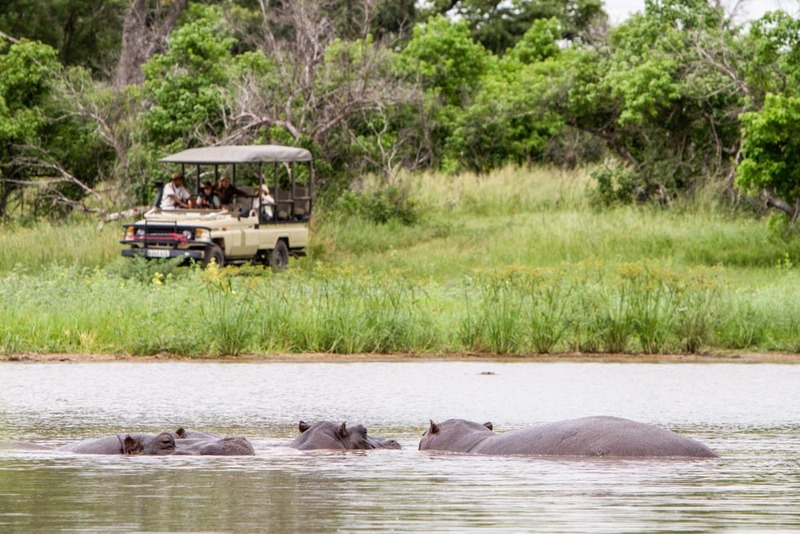 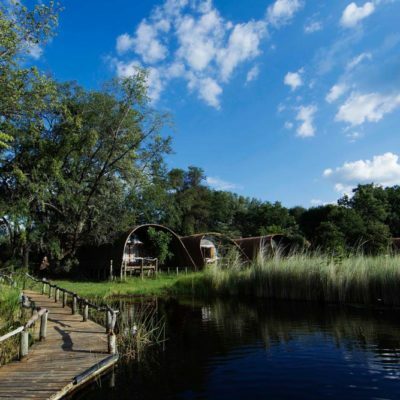 The lodges in Moremi border onto permanent rivers, meaning you can take to the water easily on boat safaris. 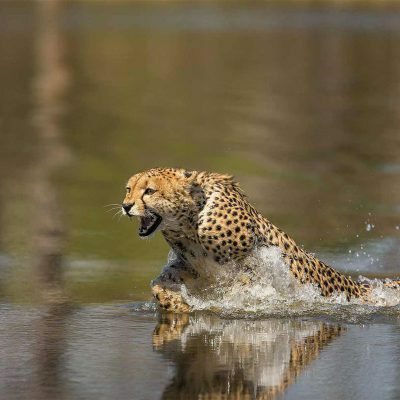 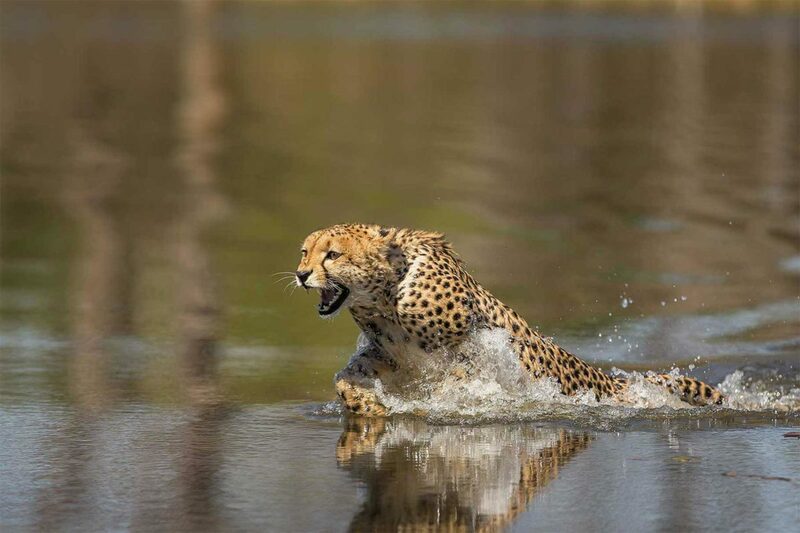 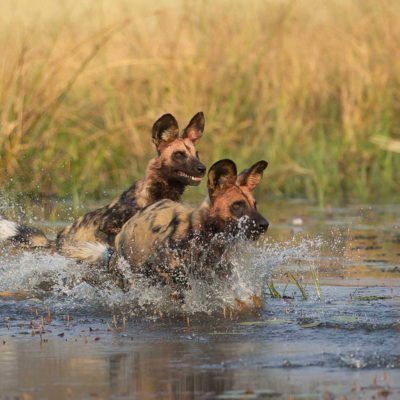 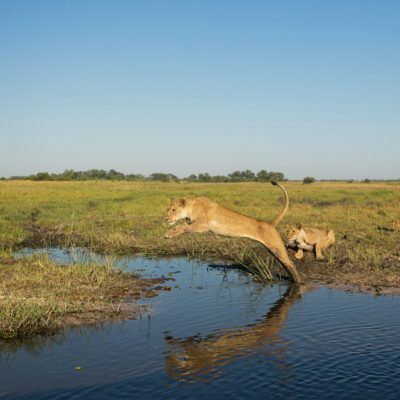 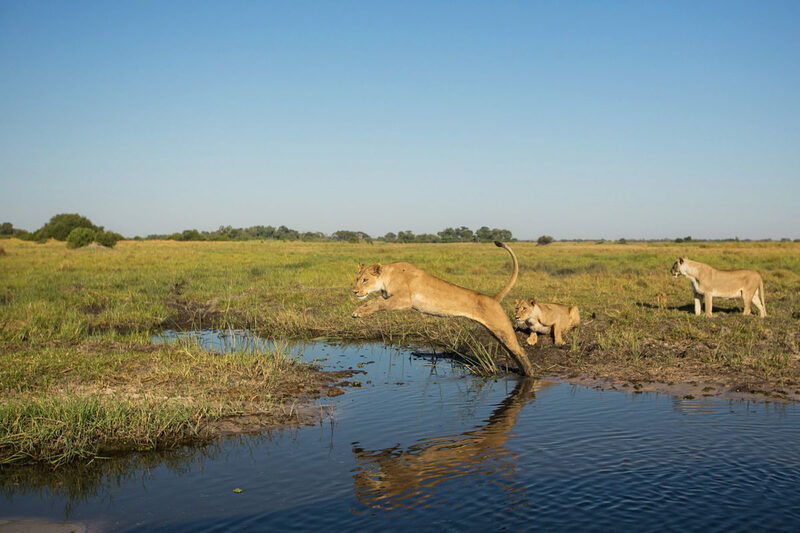 The flood pulse sometimes overflows this river, swelling the floodplains in Moremi and adding a variety of interesting habitats to the game drive areas – guides very often have to make exhilarating water crossings to follow the cats! 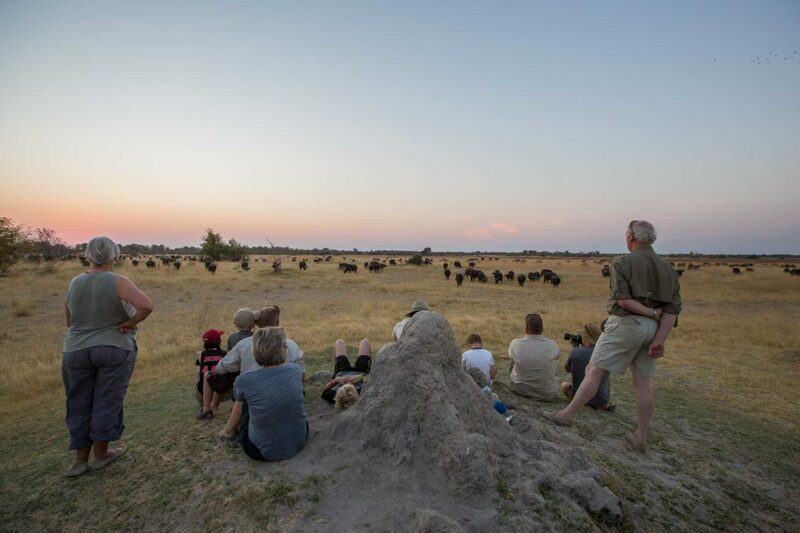 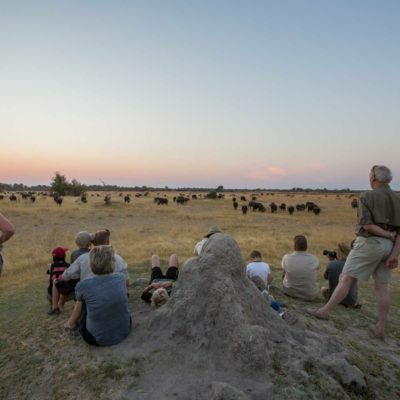 Moremi boasts large herds of buffalo and elephants. 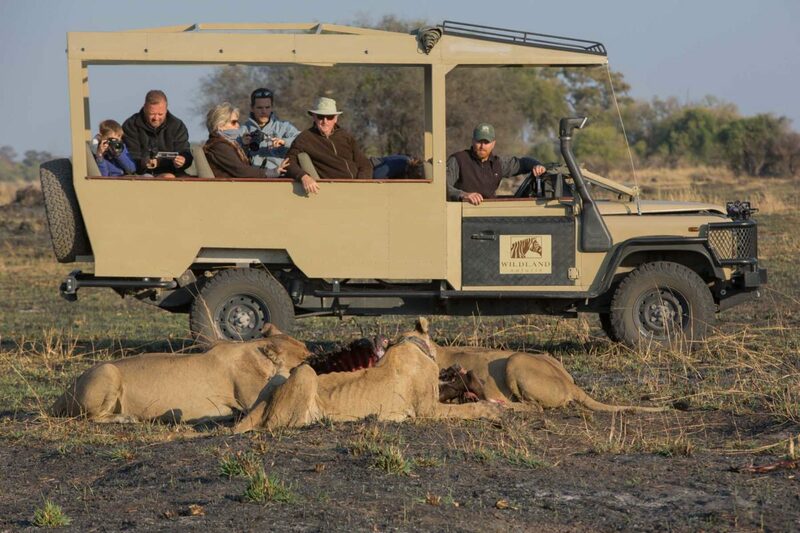 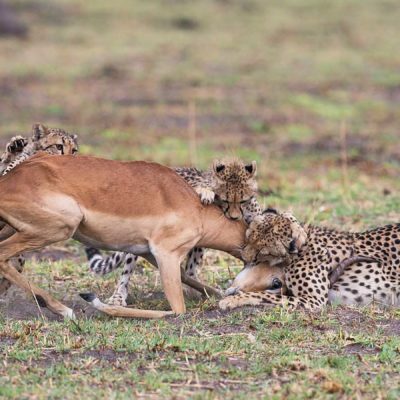 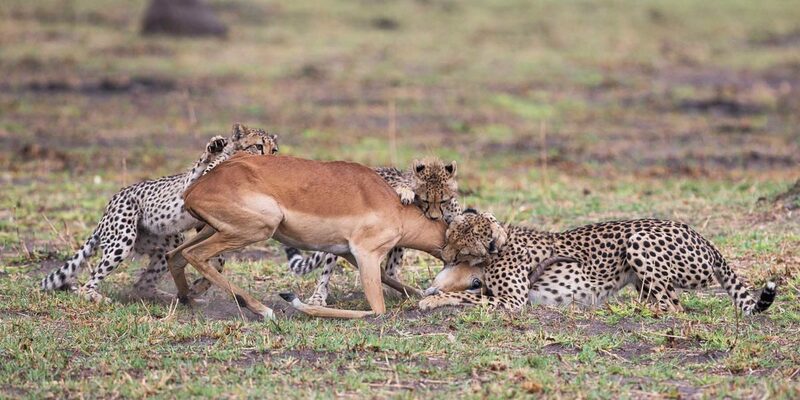 Predator viewing is exceptional too, with lion, leopard, wild dog and cheetah all present. 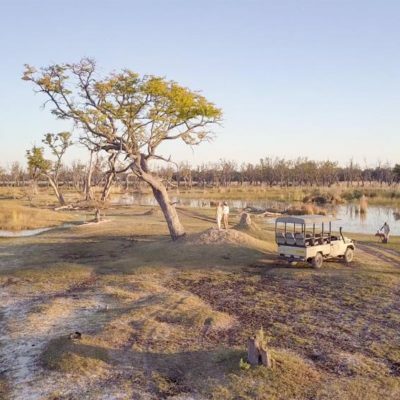 Note that there are some restrictions in this park regarding not being able to drive off-road. 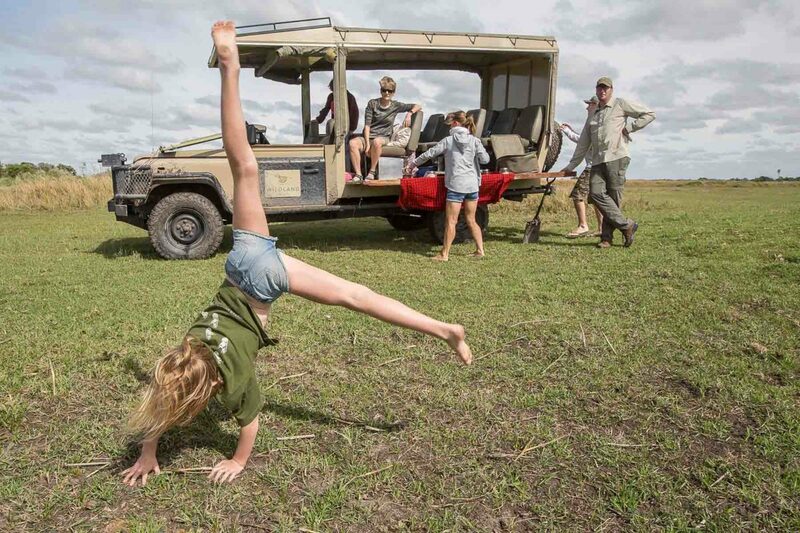 This is seldom an issue as the park boasts an outstanding road network, making following the action much easier. 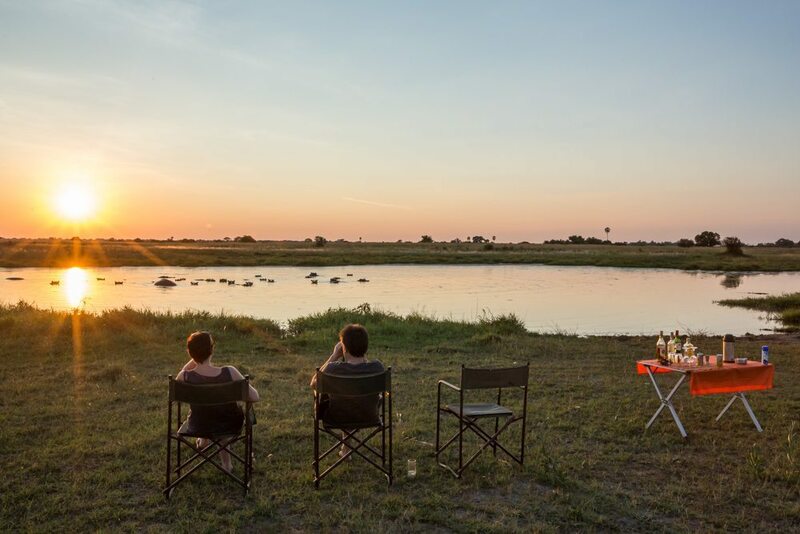 It must be said, that the game viewing in this park is of the highest quality and the scenery or background habitat is, in our opinion, the best in the country. 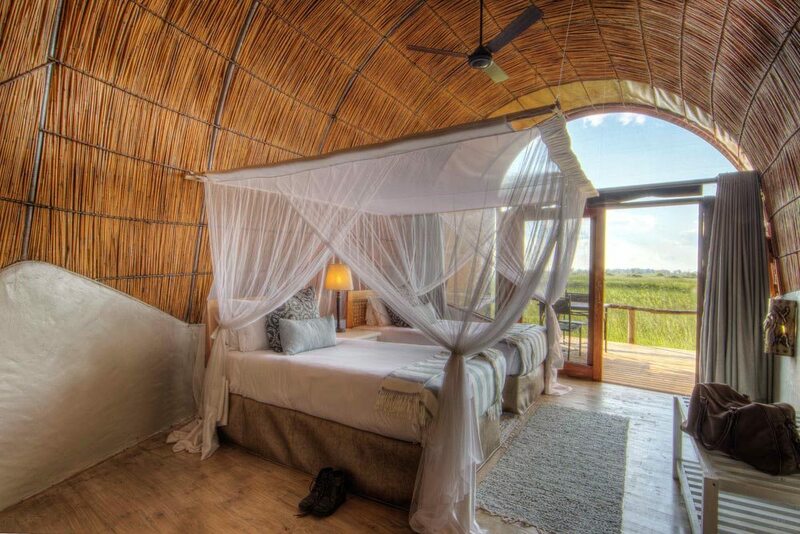 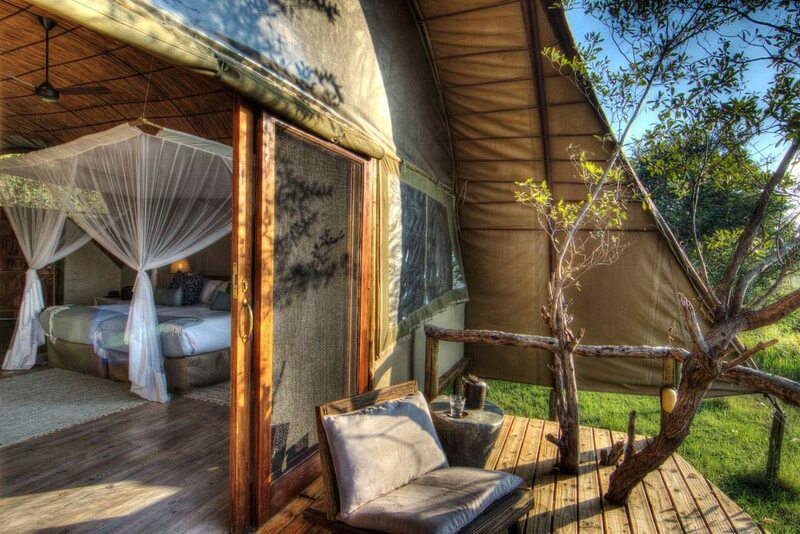 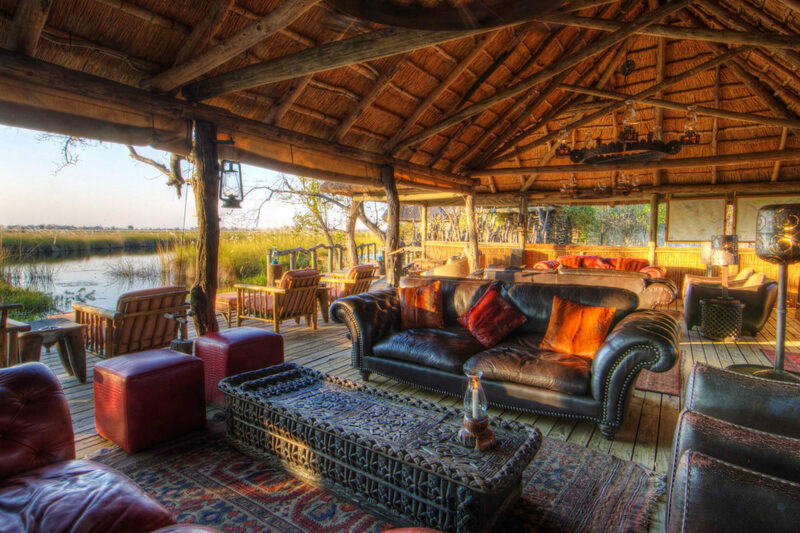 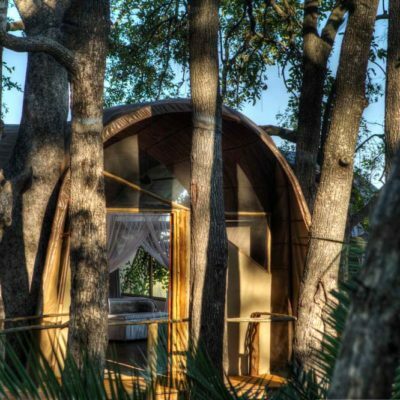 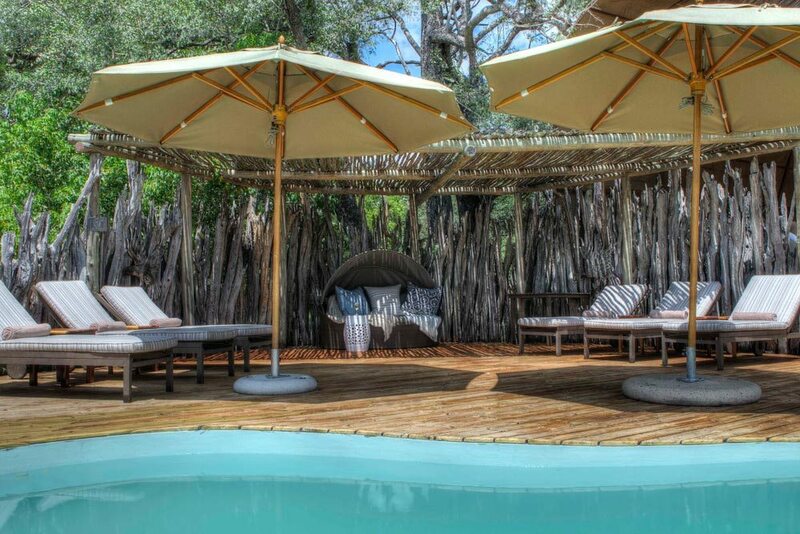 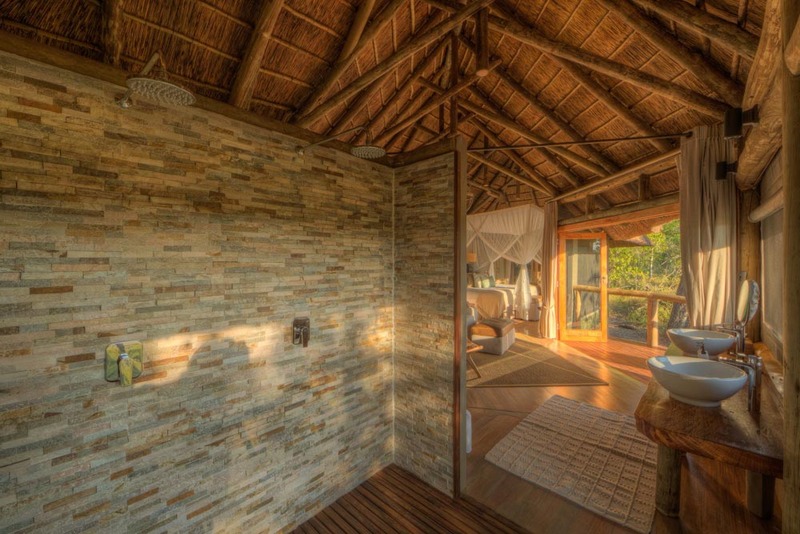 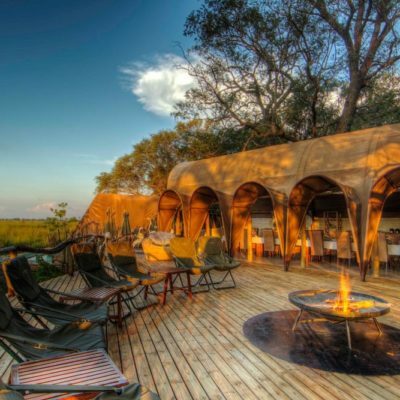 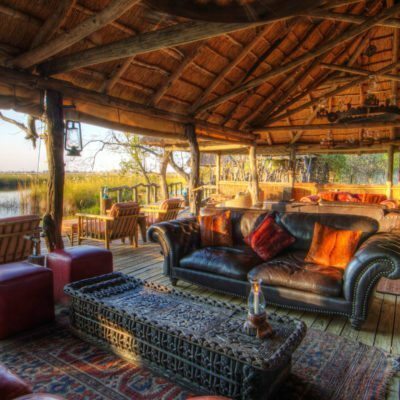 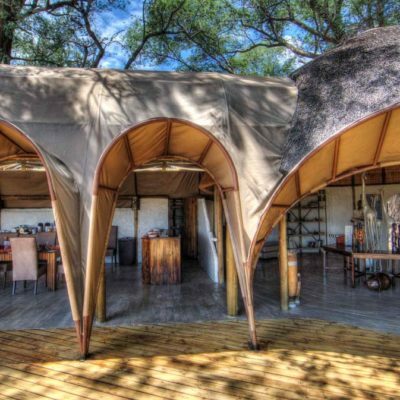 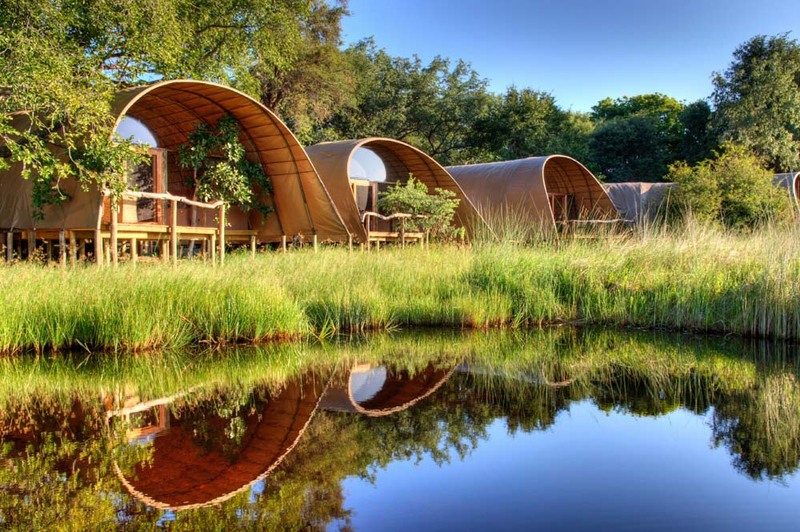 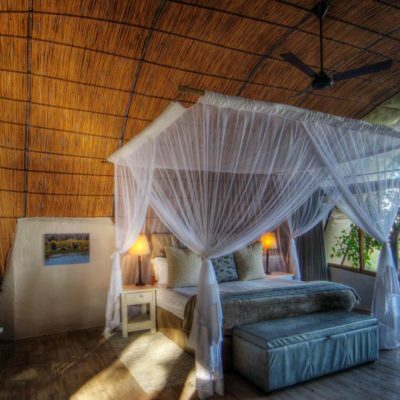 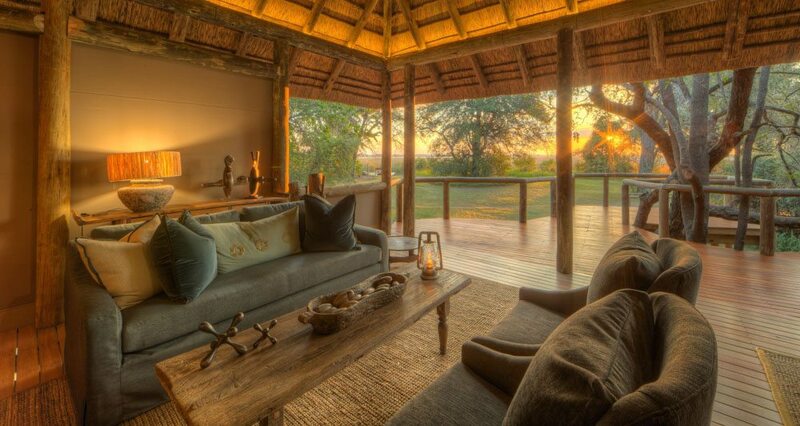 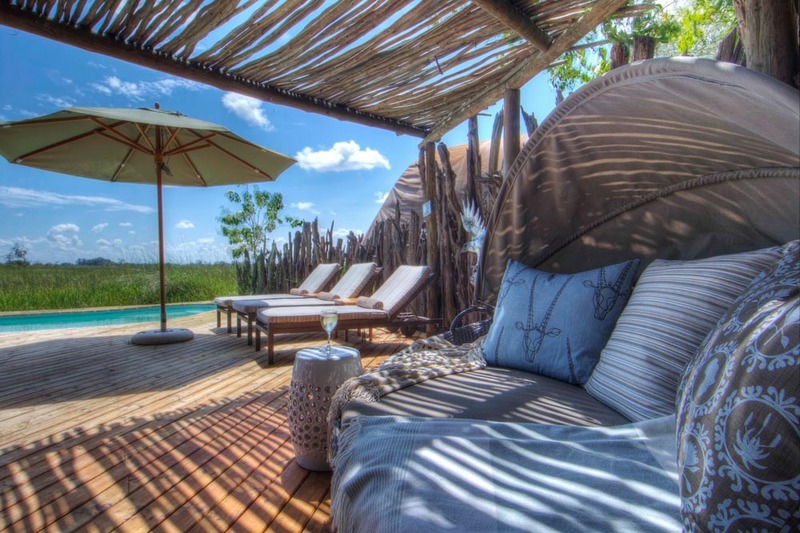 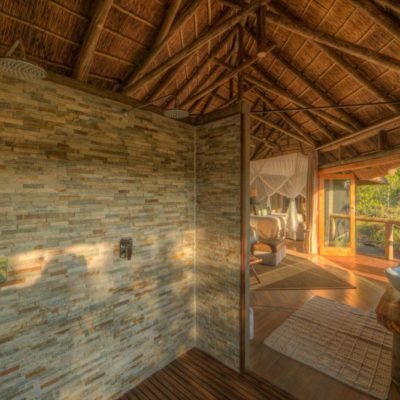 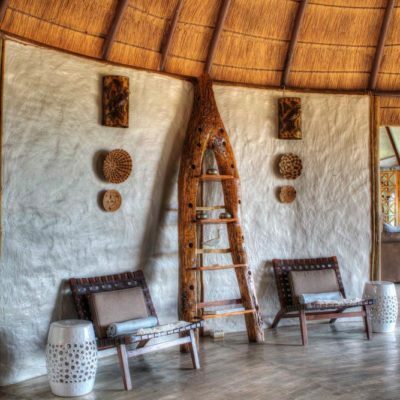 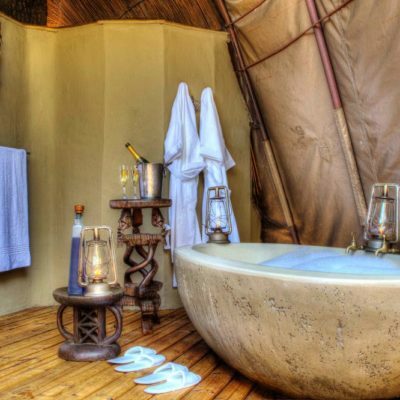 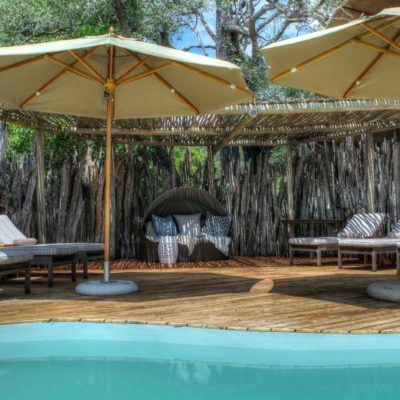 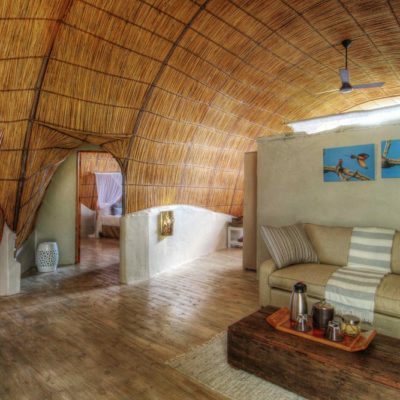 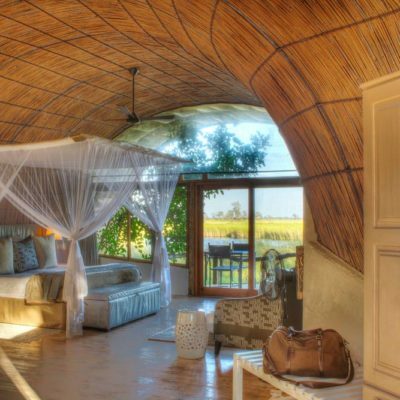 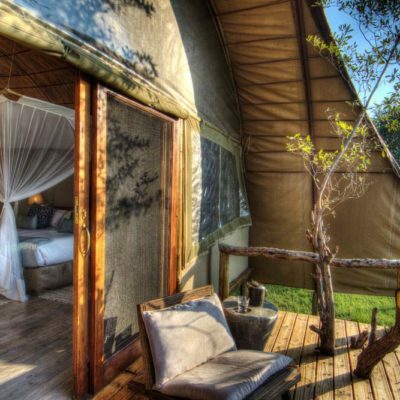 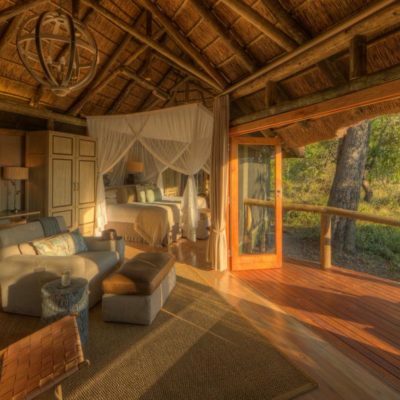 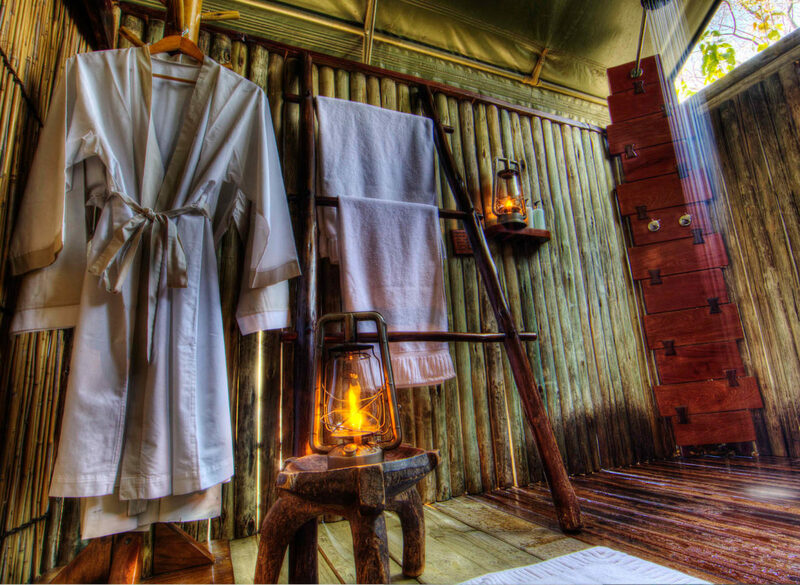 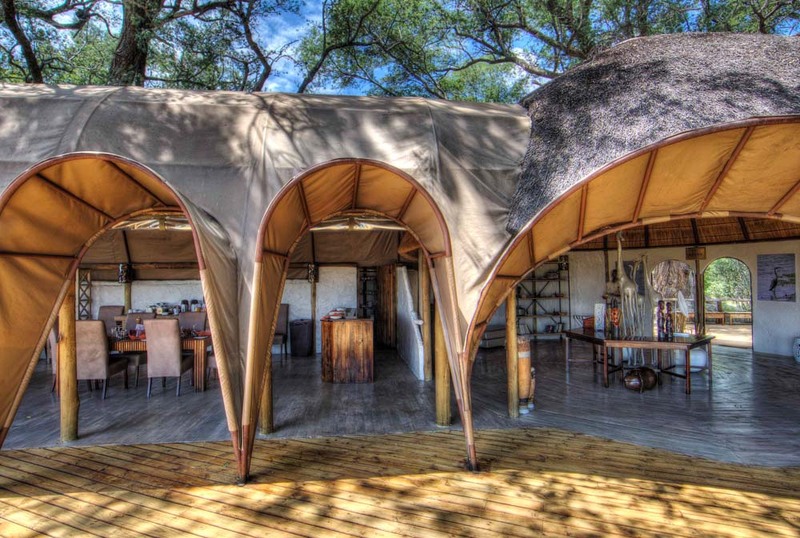 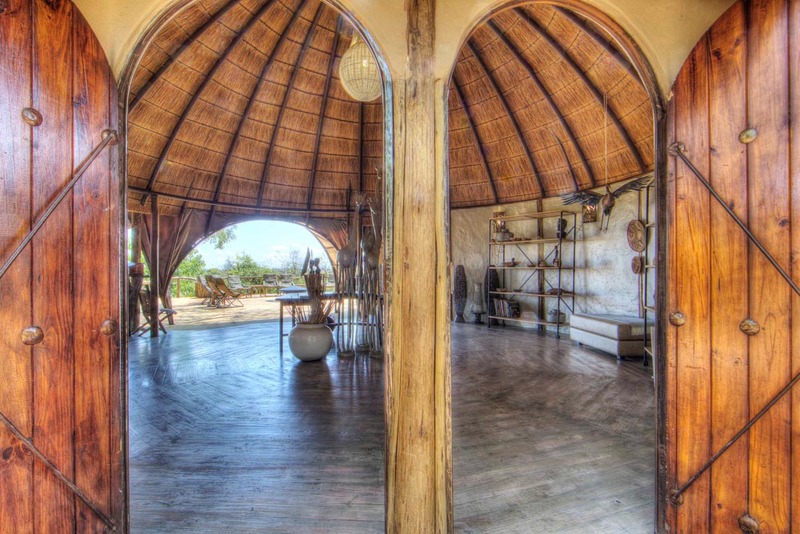 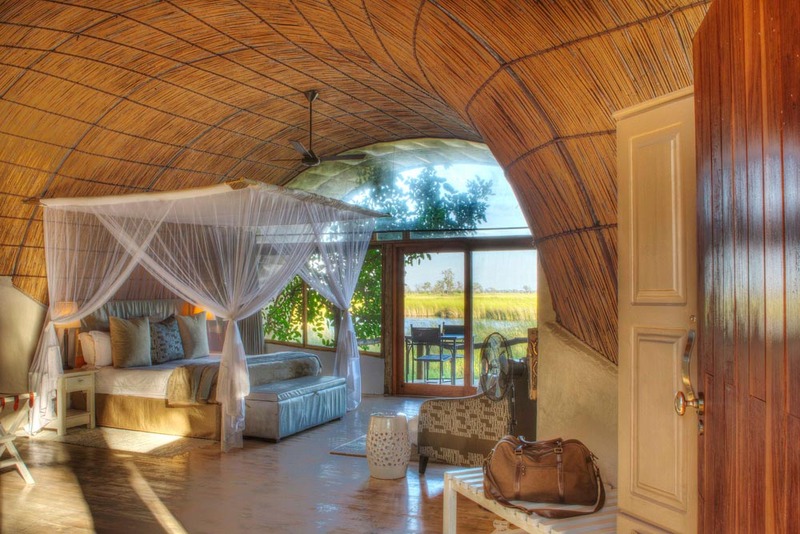 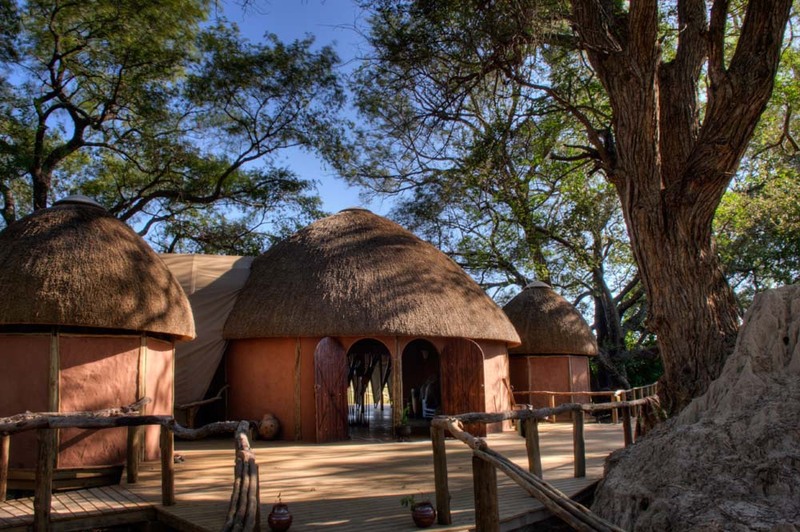 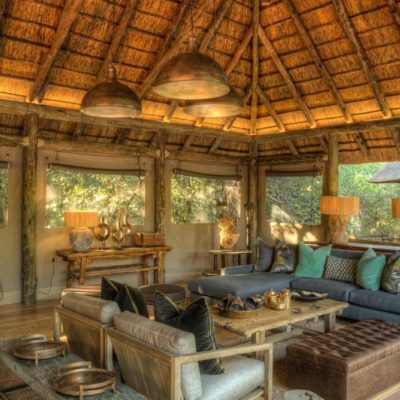 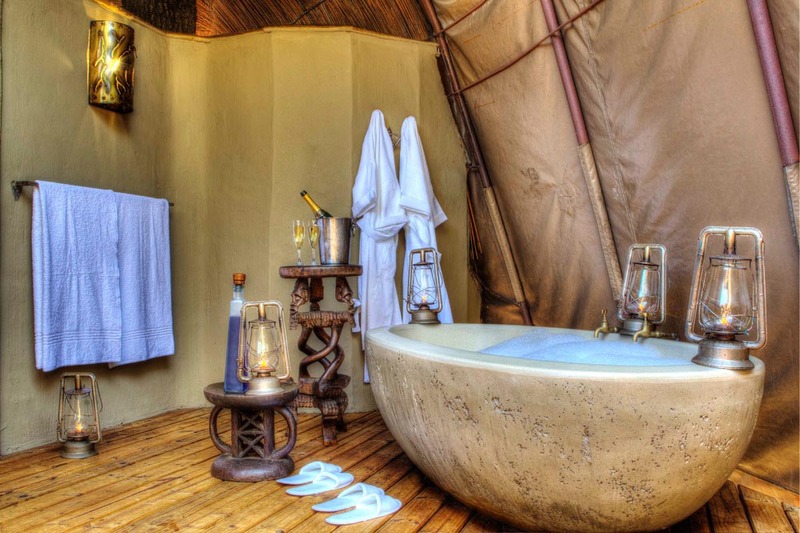 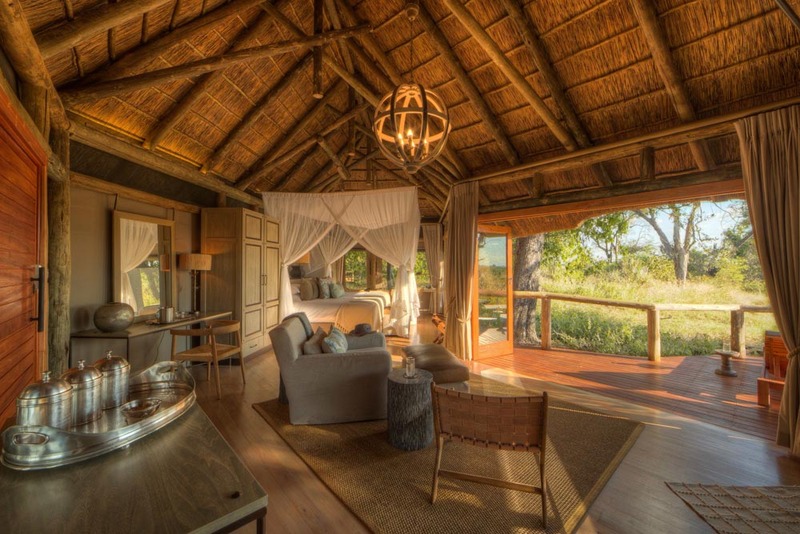 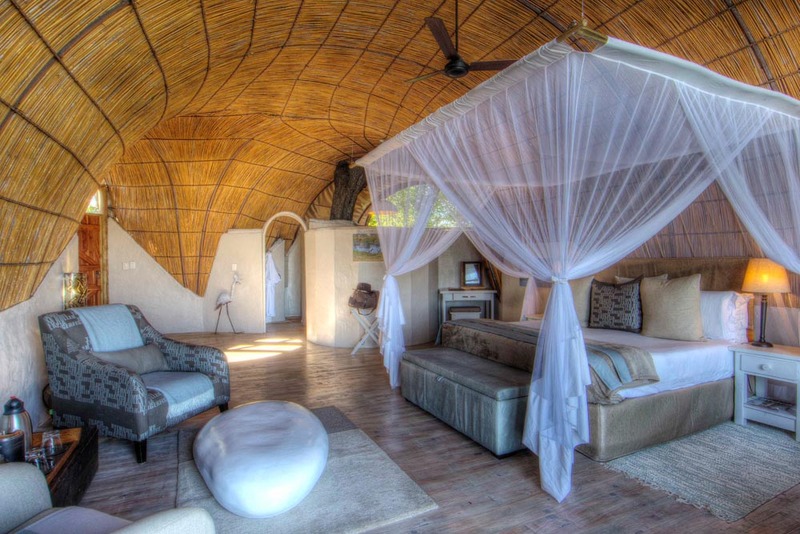 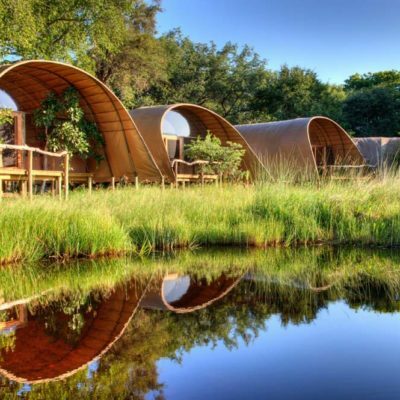 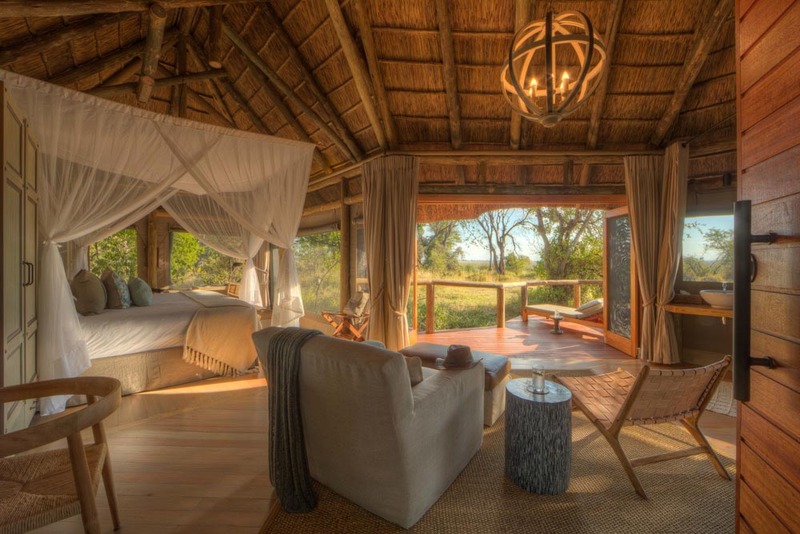 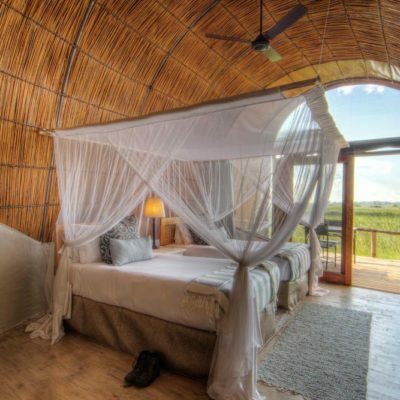 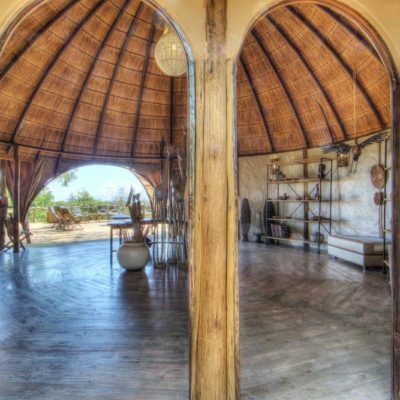 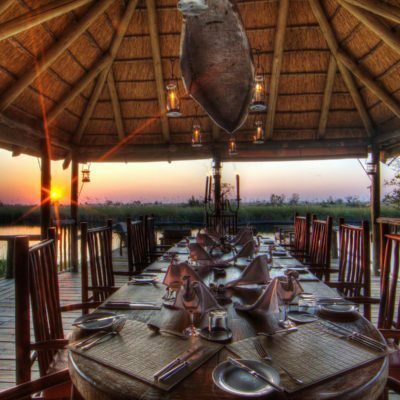 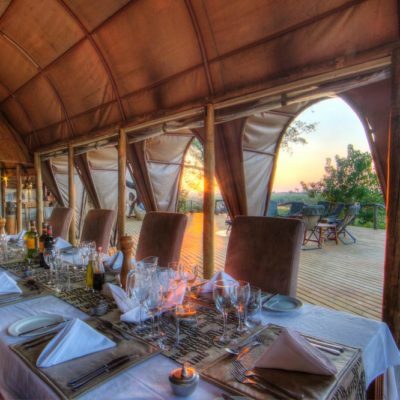 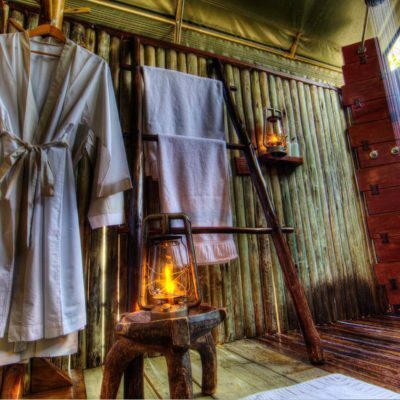 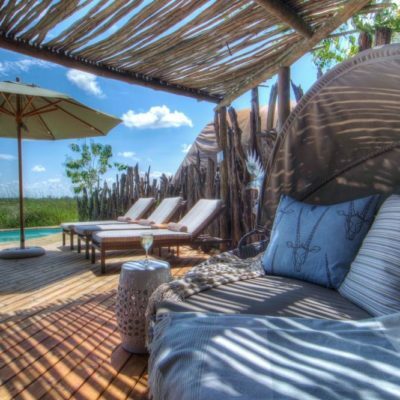 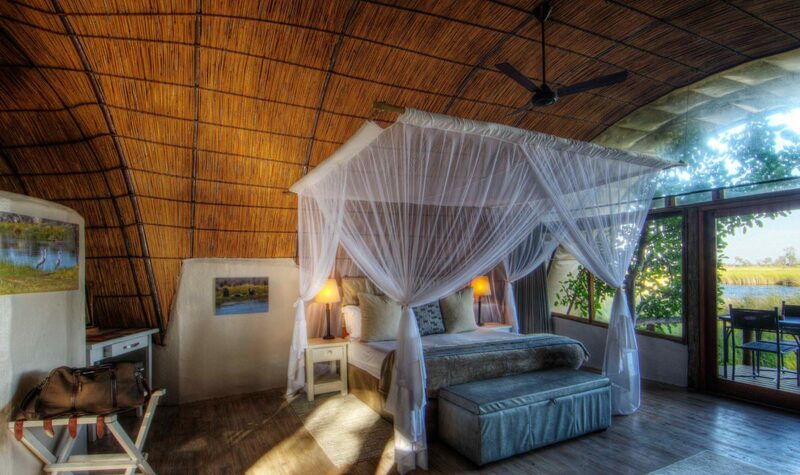 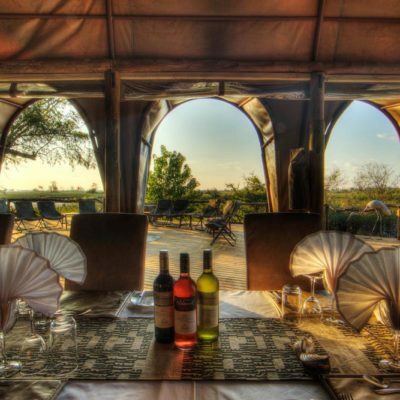 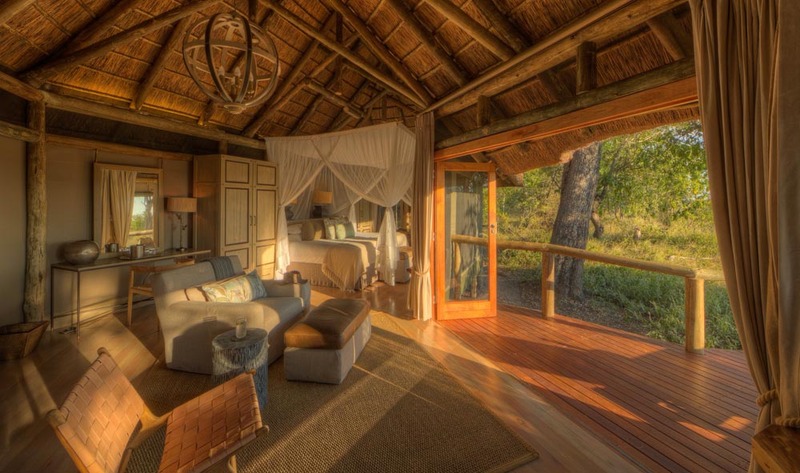 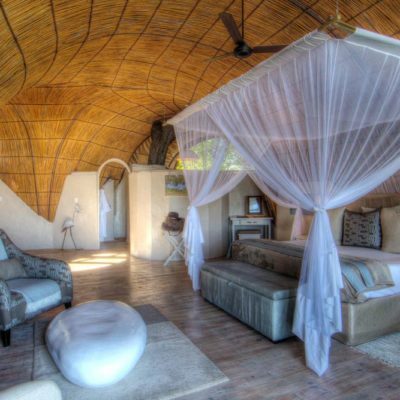 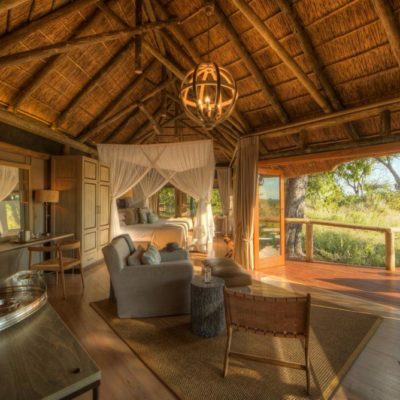 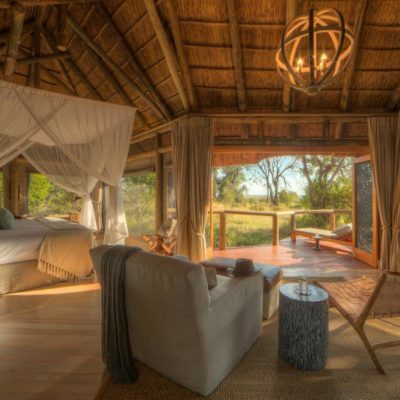 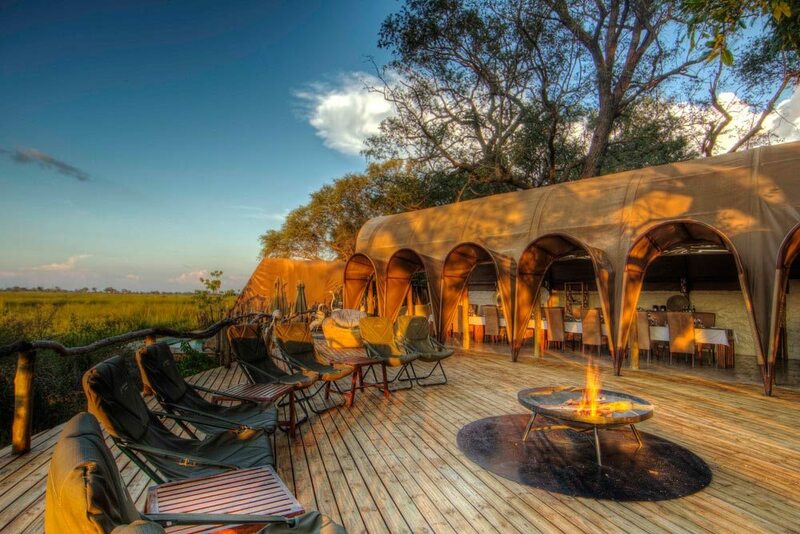 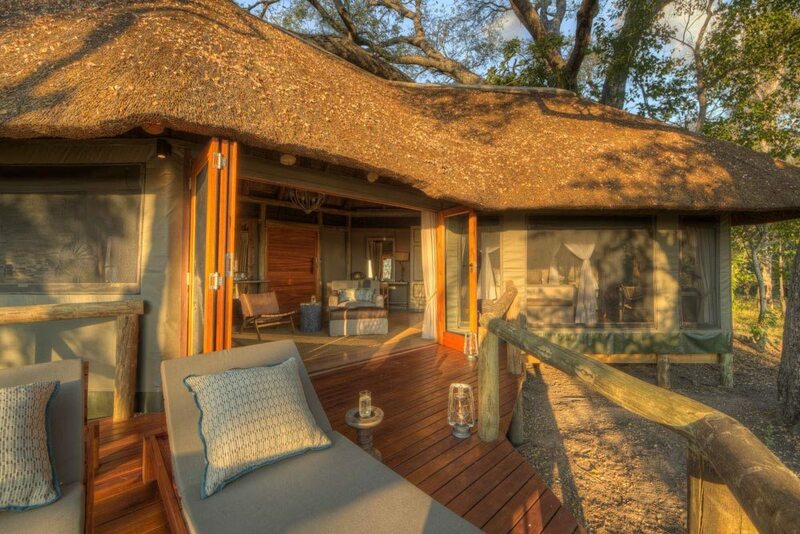 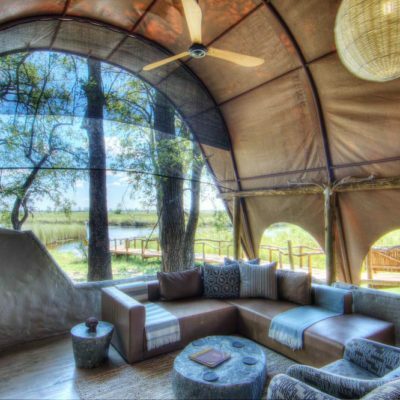 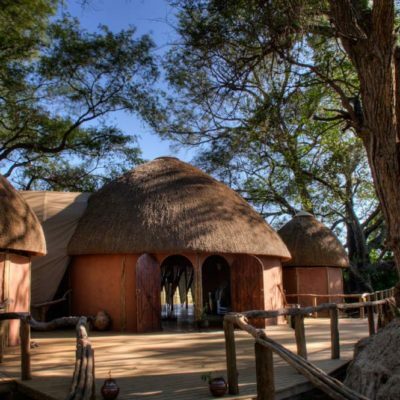 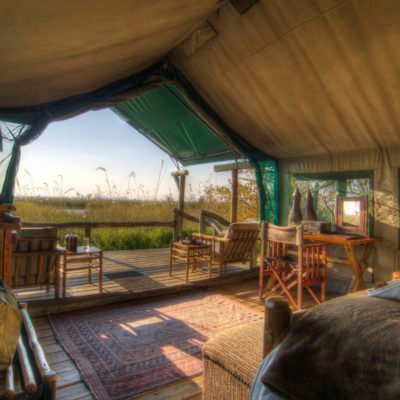 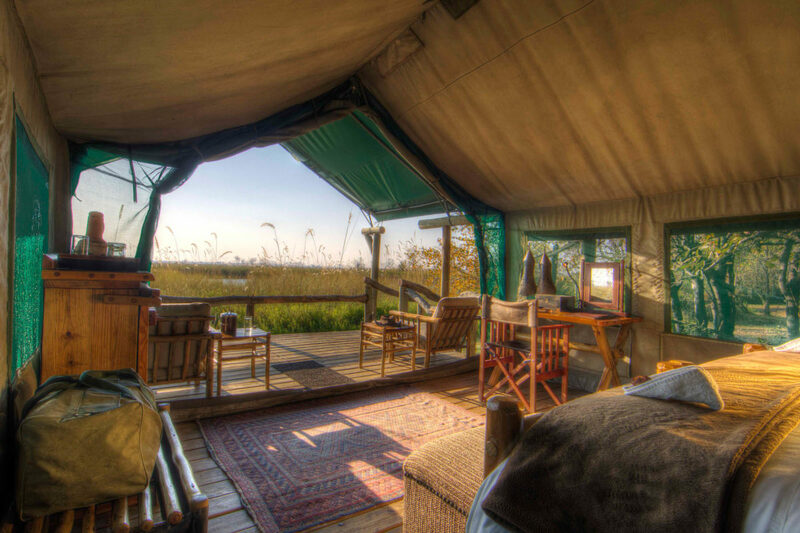 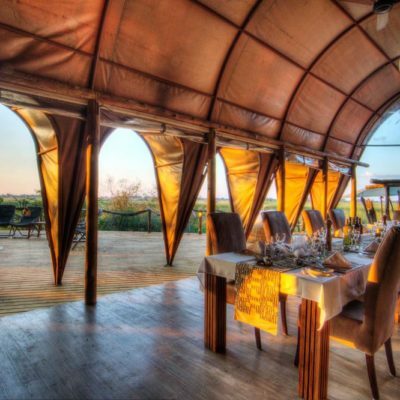 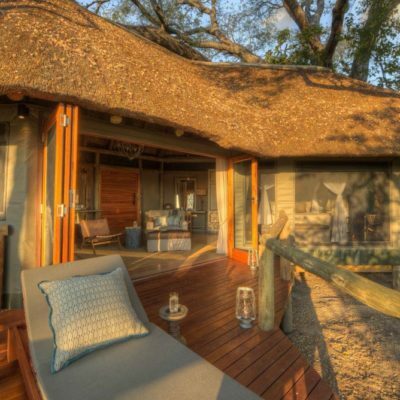 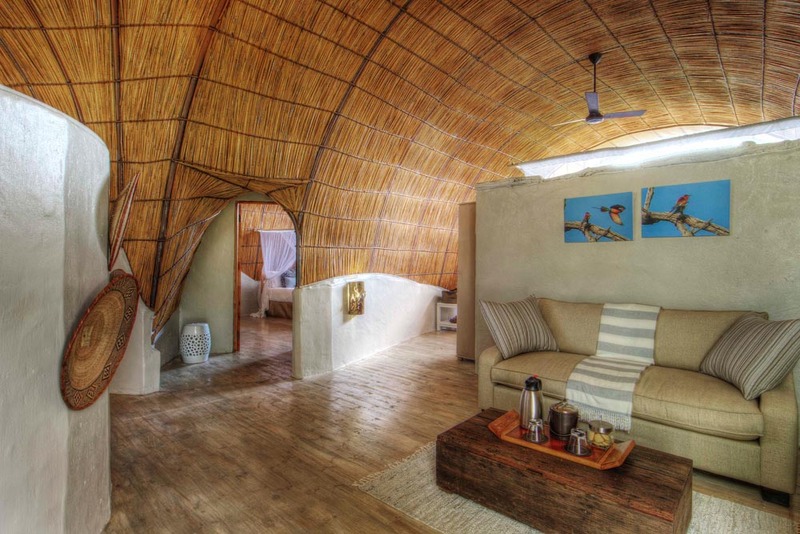 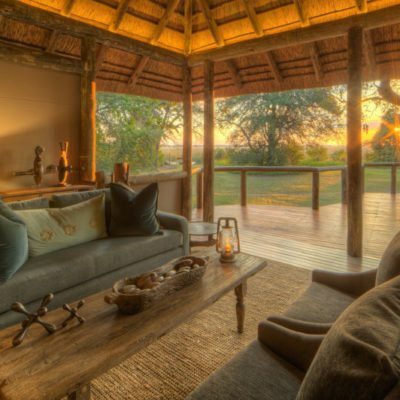 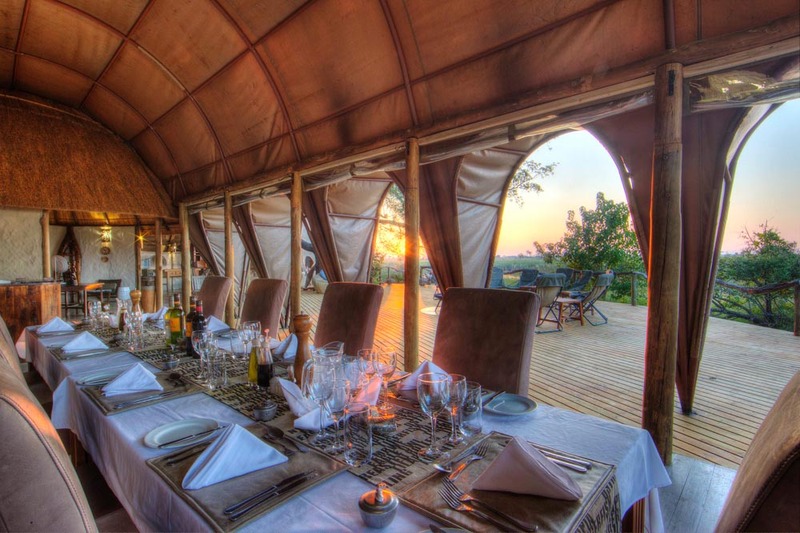 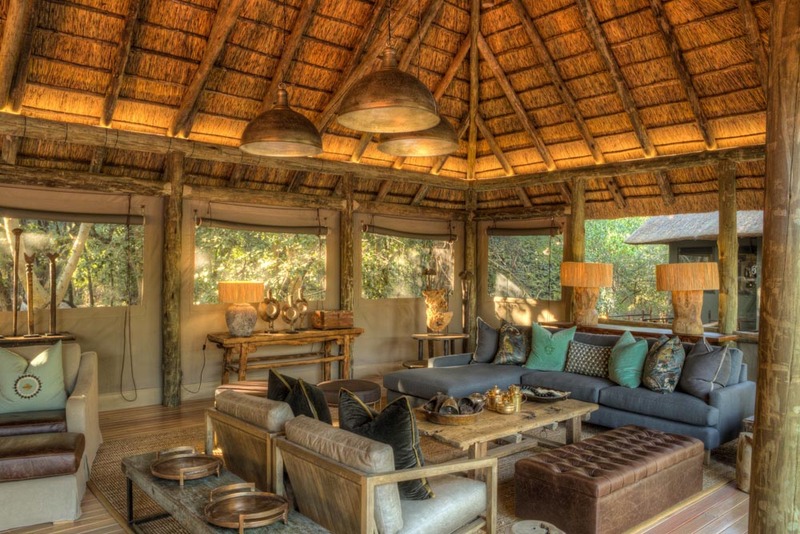 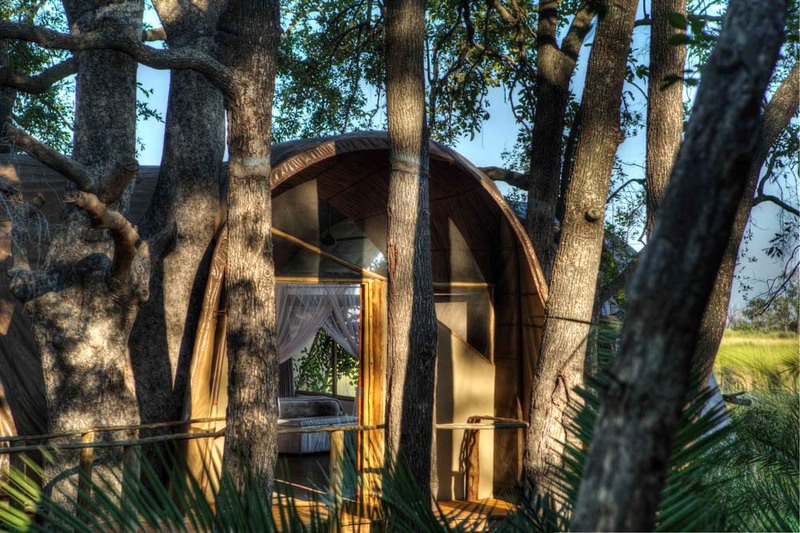 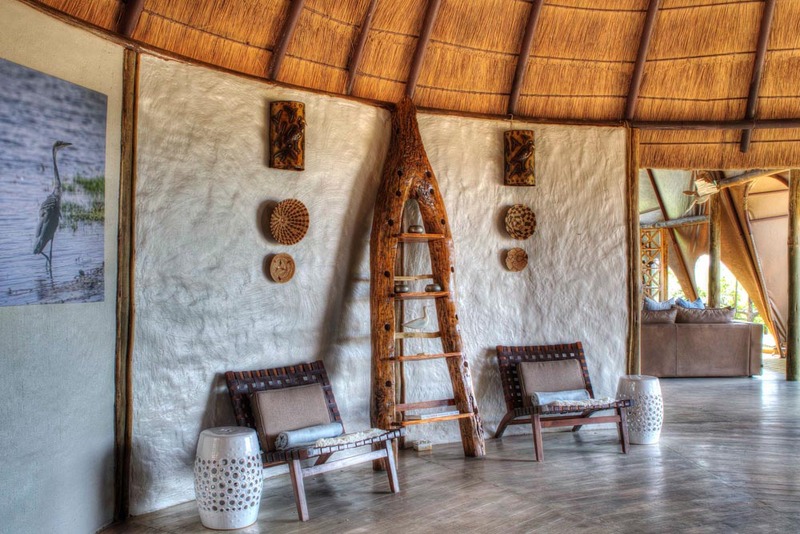 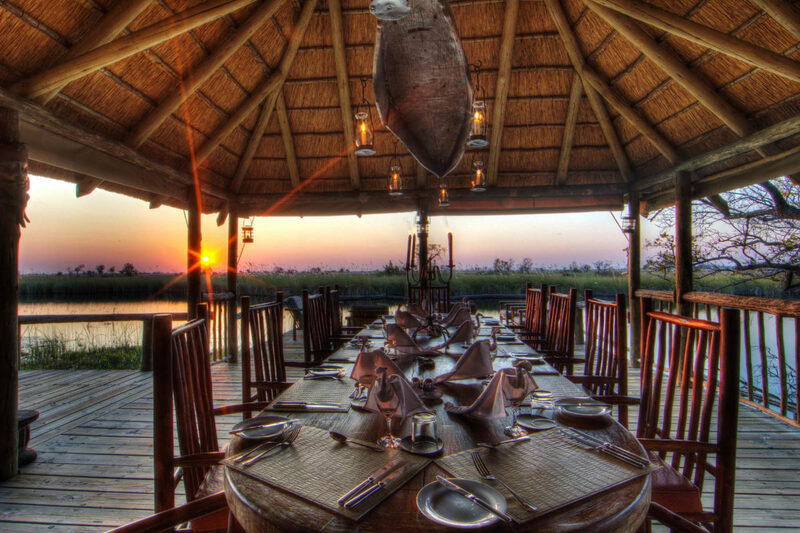 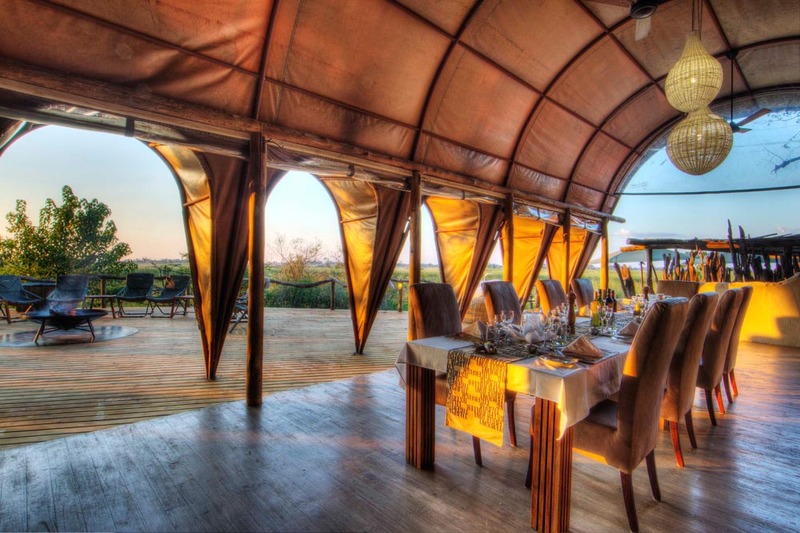 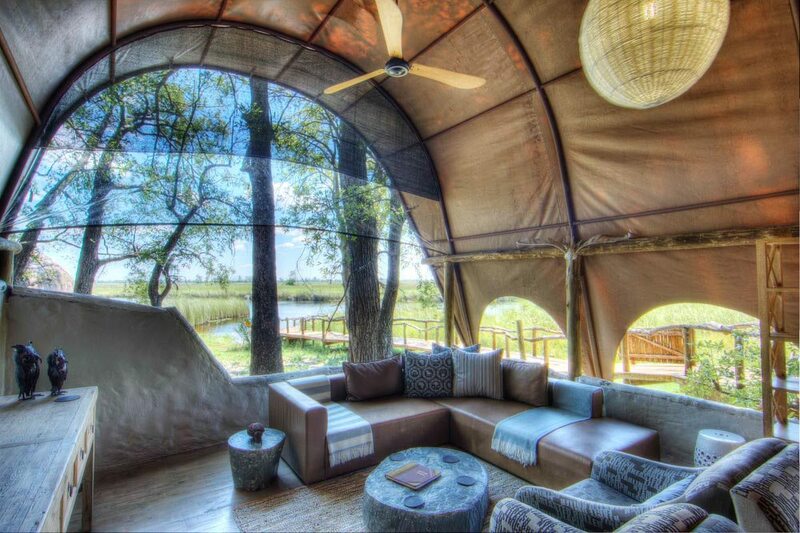 For this very reason, some of the lodges here were amoung the first ever built in Botswana! 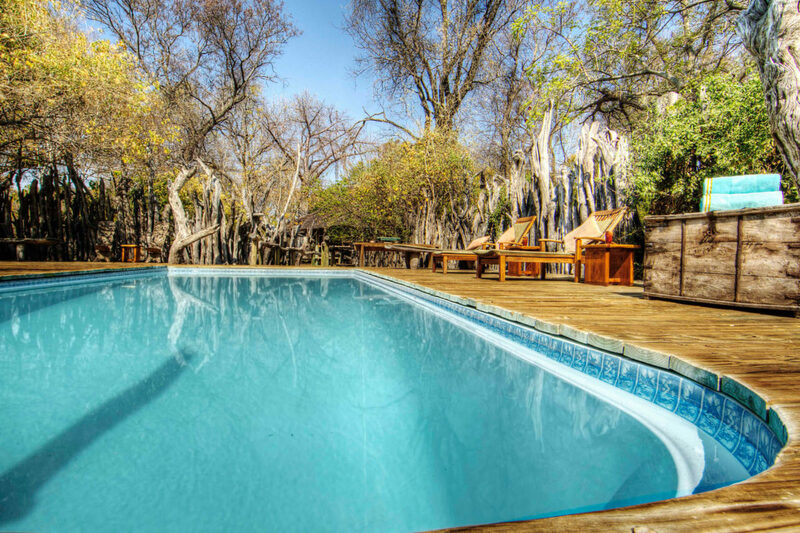 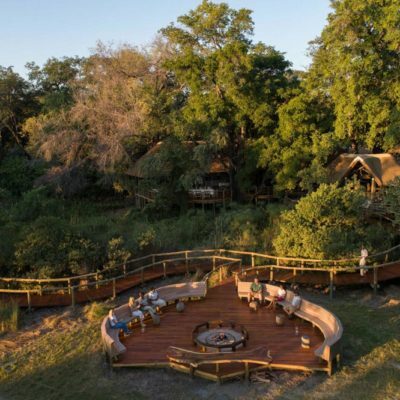 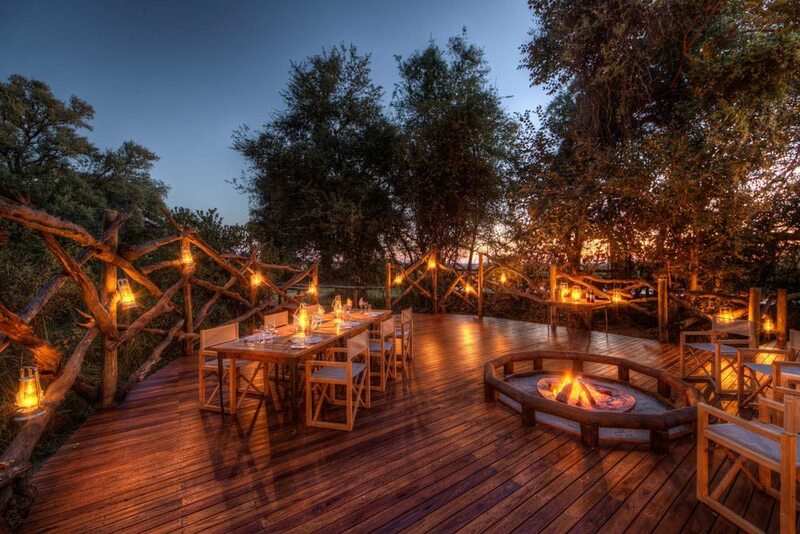 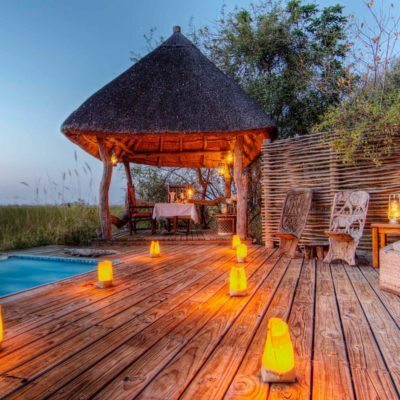 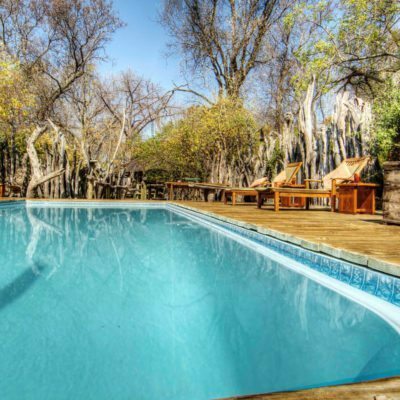 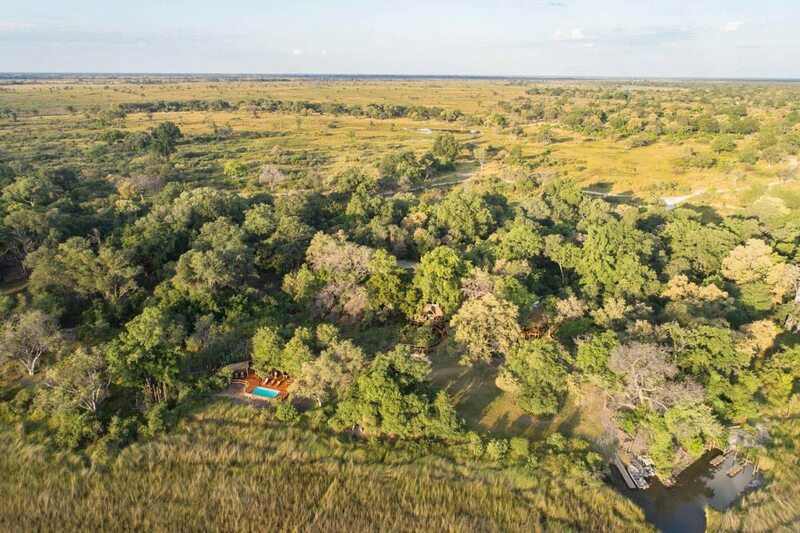 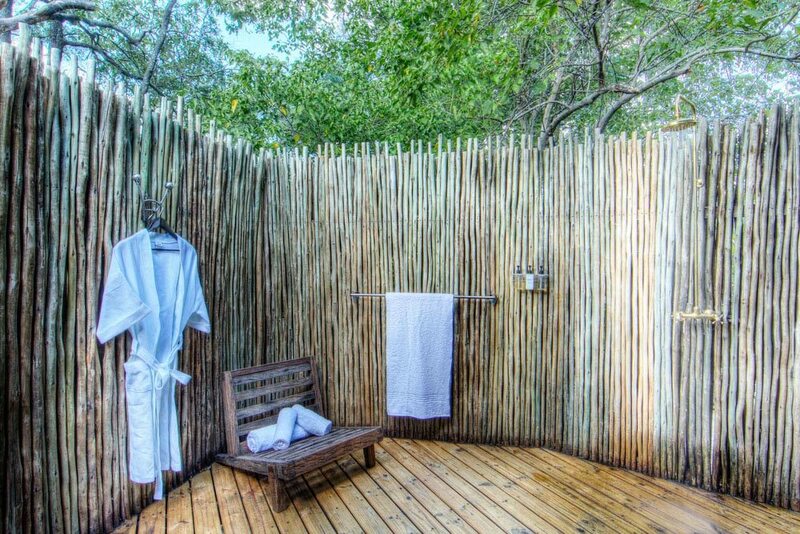 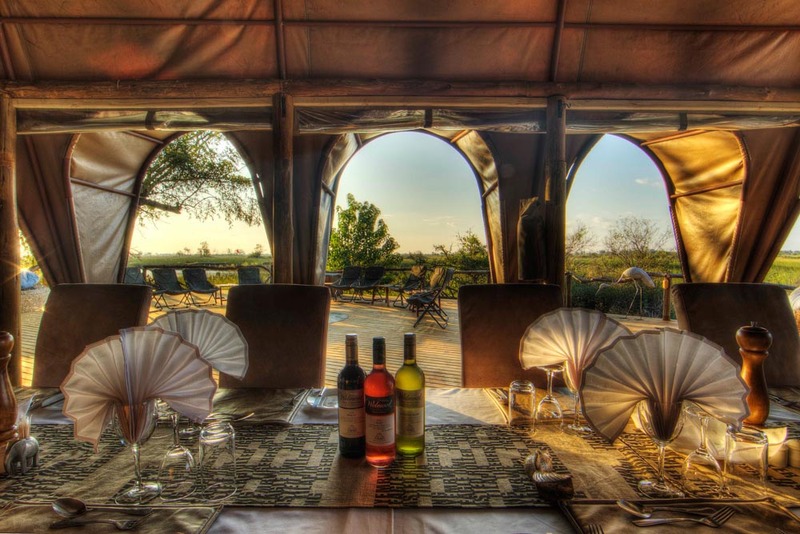 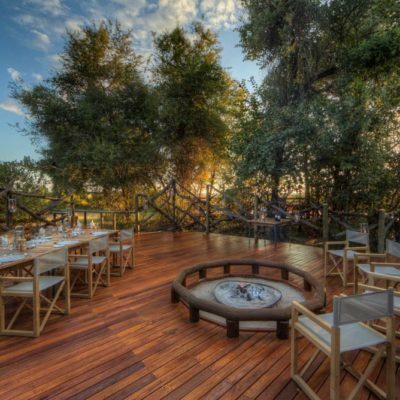 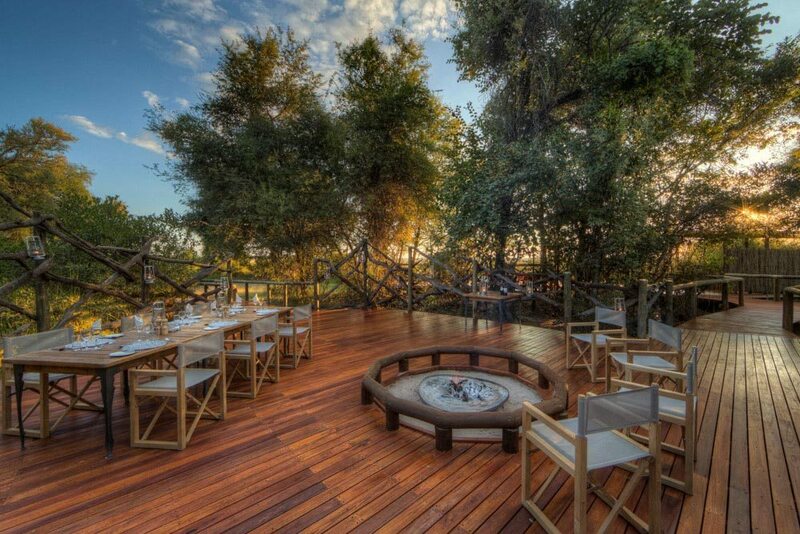 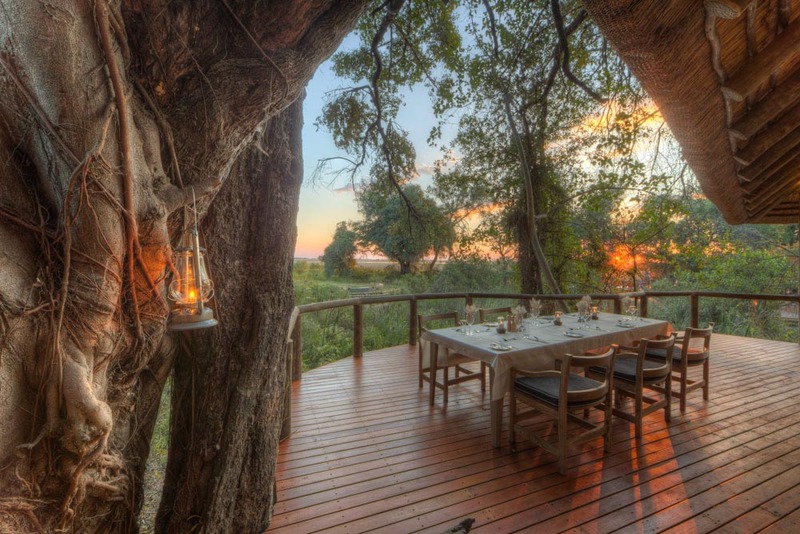 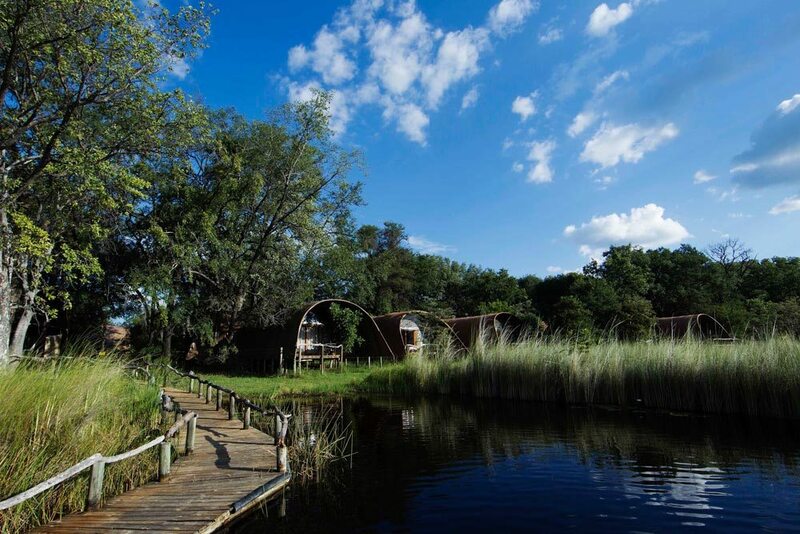 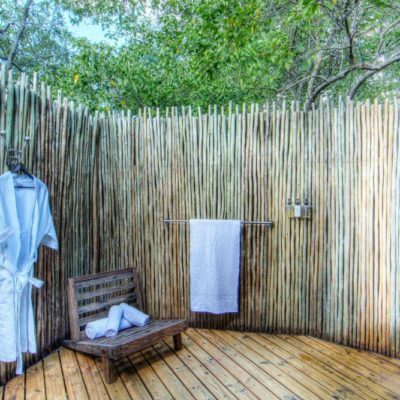 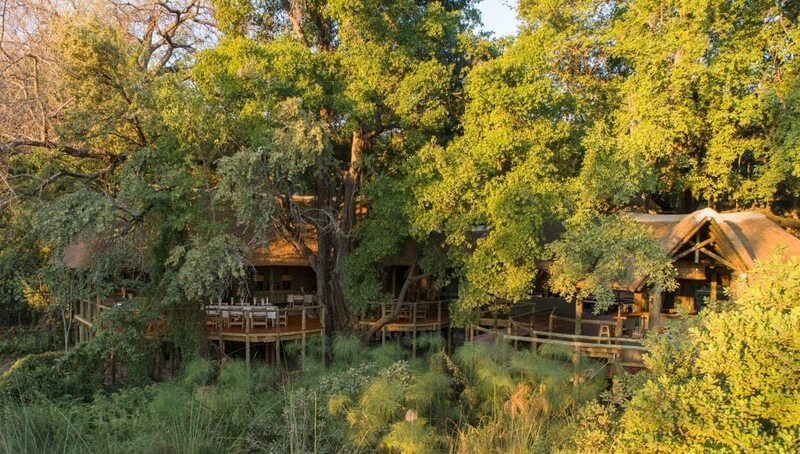 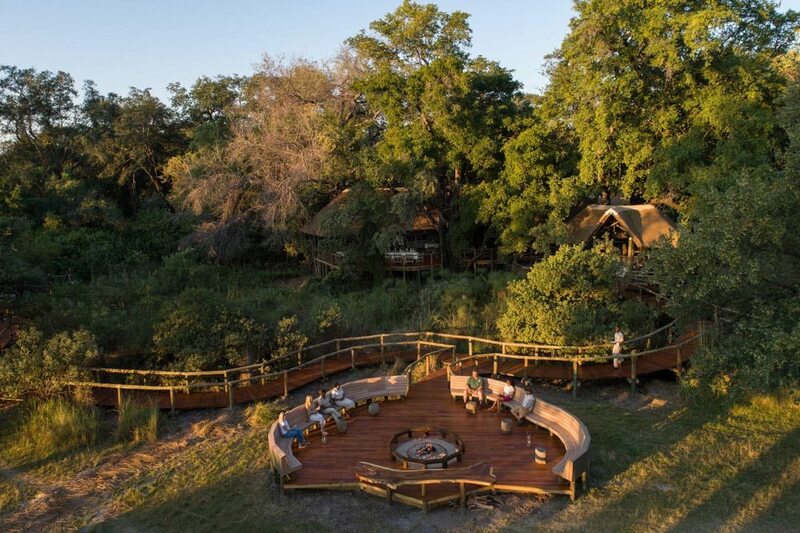 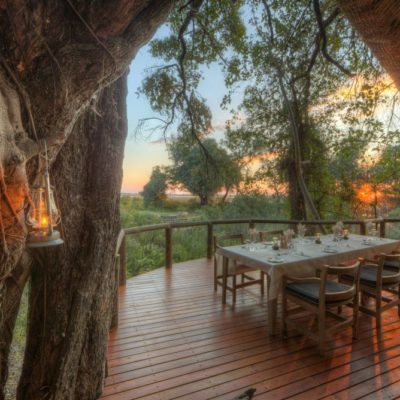 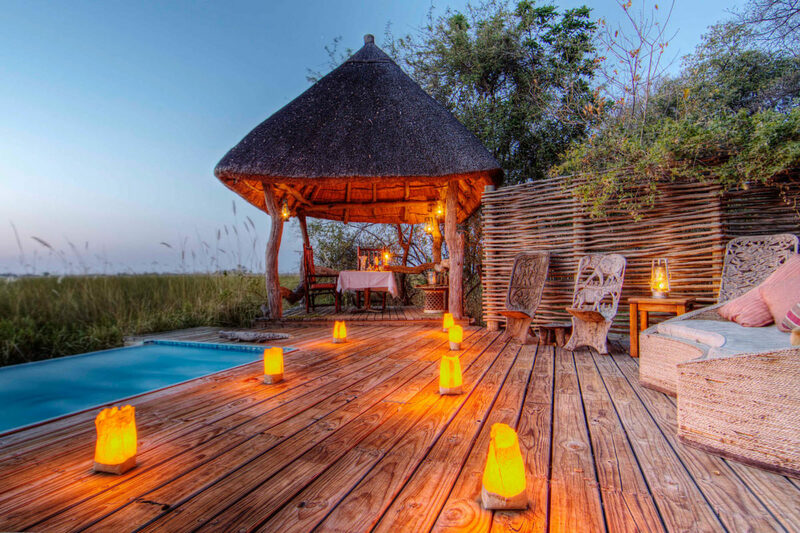 Within Moremi, you have several lodge options (see below). 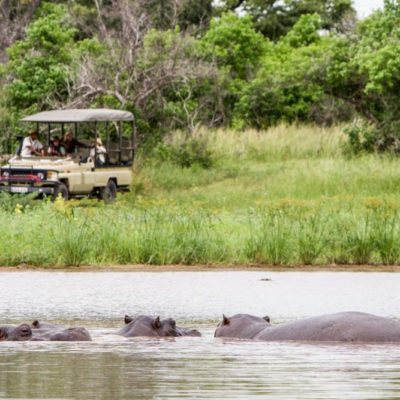 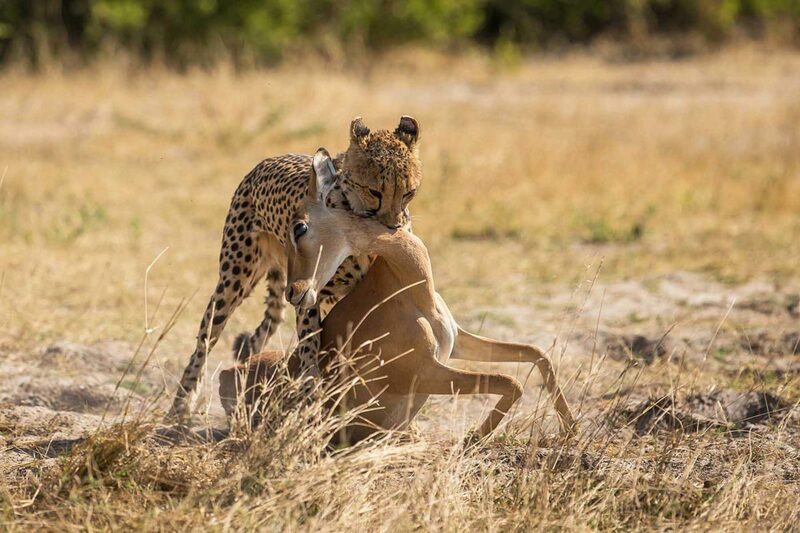 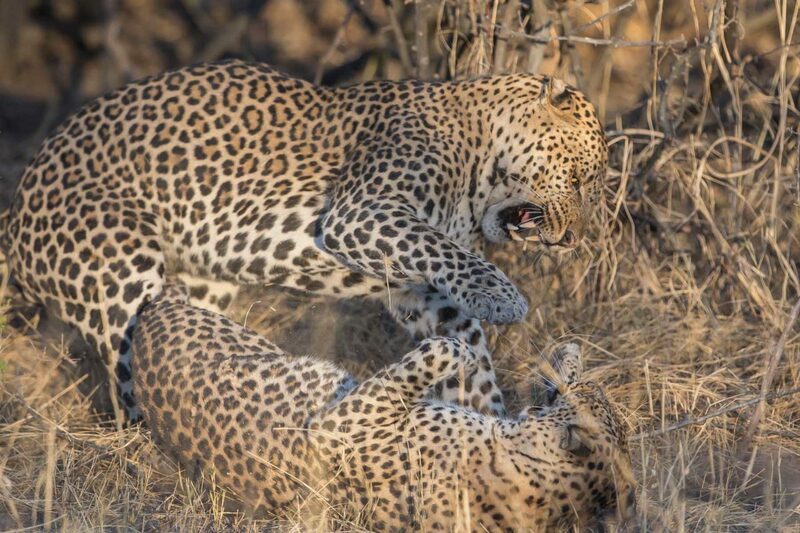 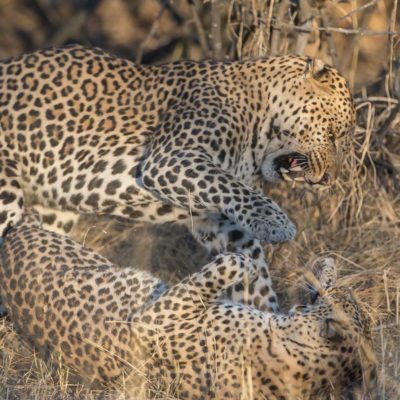 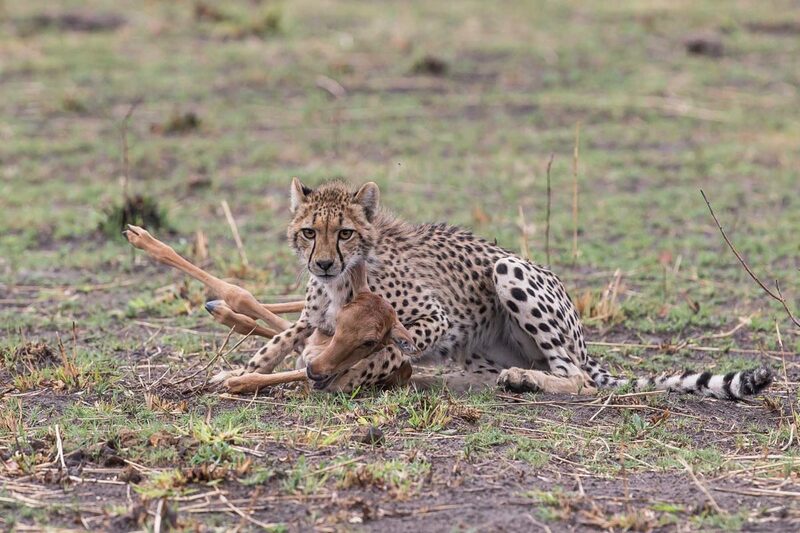 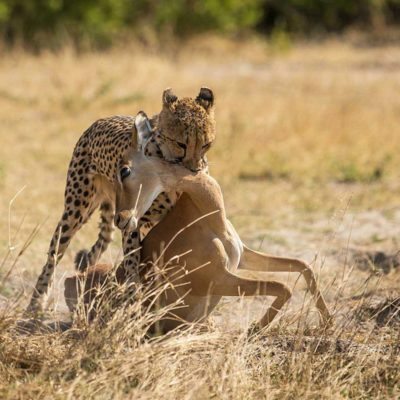 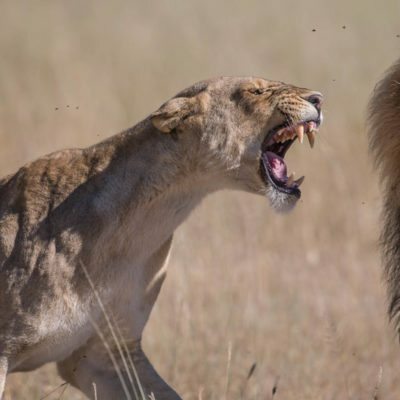 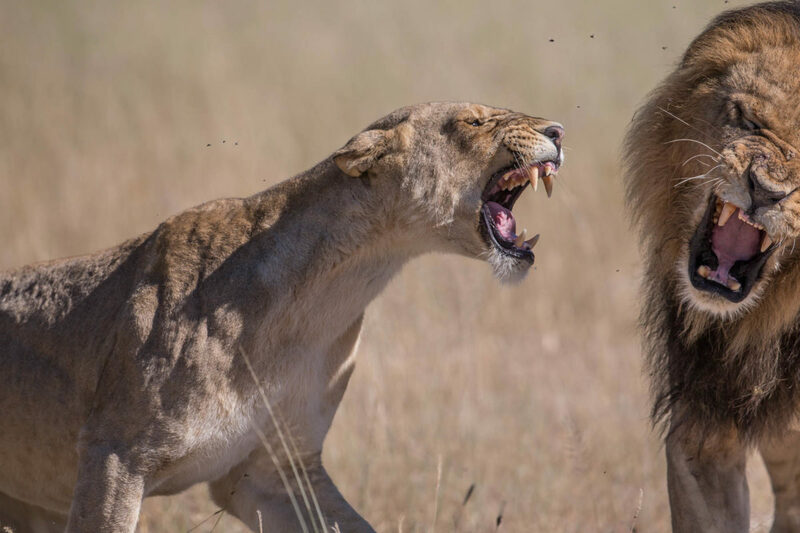 Most of these focus on game viewing by vehicle as their main activity, as these drives are highly productive (right up there with the best in Botswana). 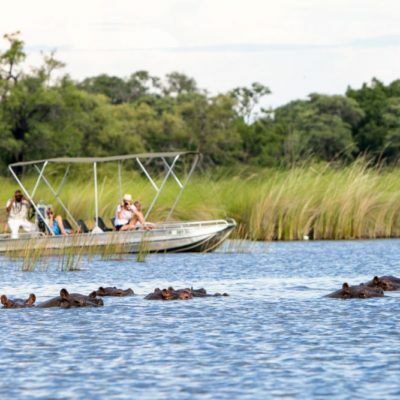 Generally, walking is not allowed, however, all the lodges offer boating on the waters of the Okavango (all year as a permanent river). 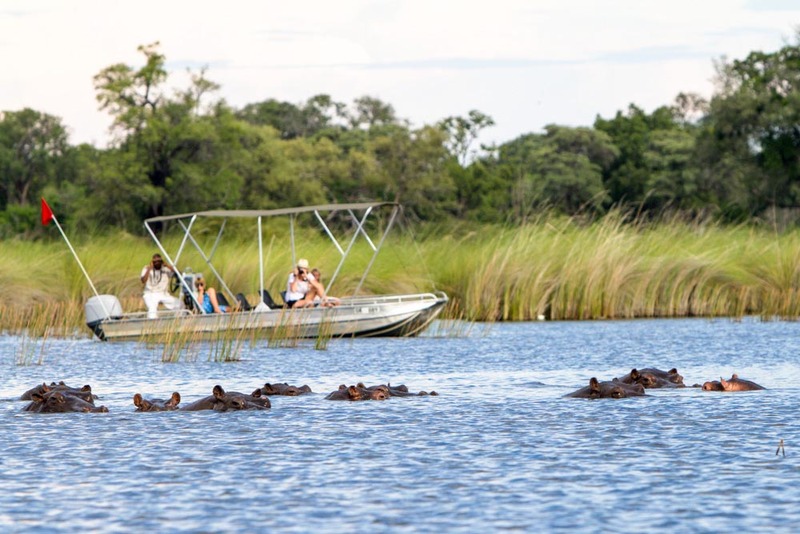 Moremi is at its best during the dry season, when flood waters spill into the floodplains and grasslands (May – October). 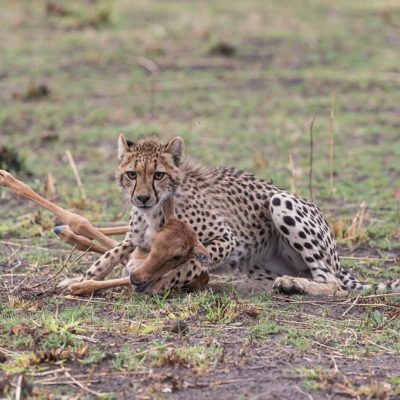 The first rains (November) bring a flurry of life with the birth of the impala lambs. 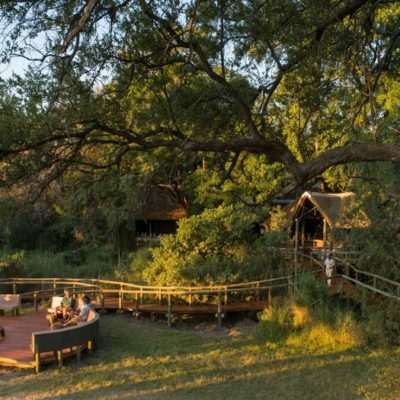 The wet (or “green”) season is still productive, so this park can be visited all year. 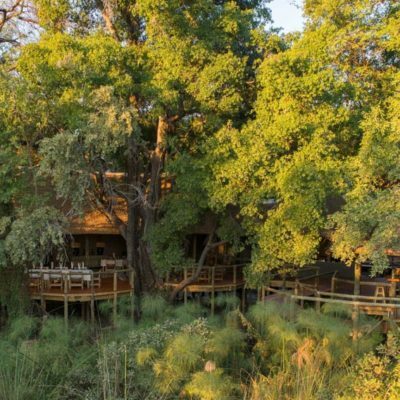 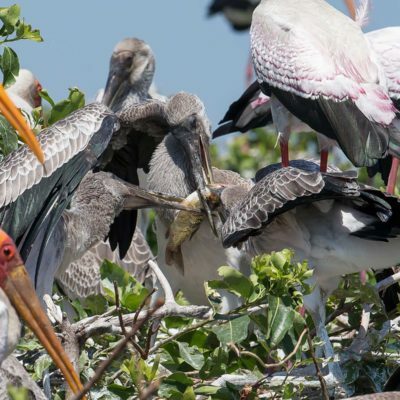 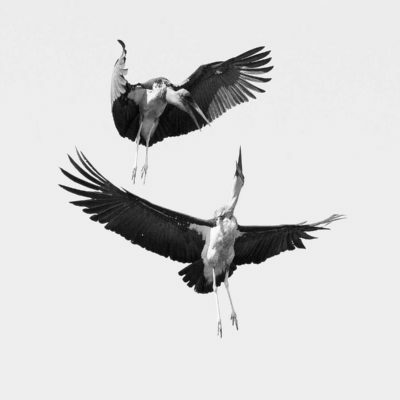 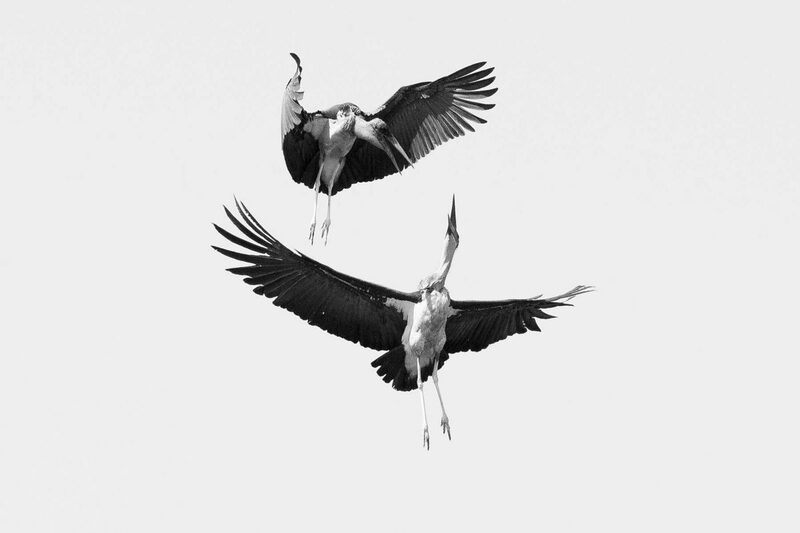 The bird life is exceptional – do have a look at our information on visiting the Heronries from these Moremi Lodges. 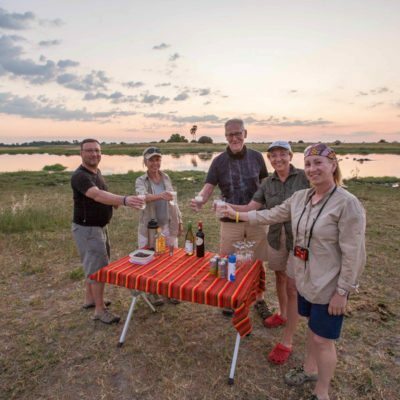 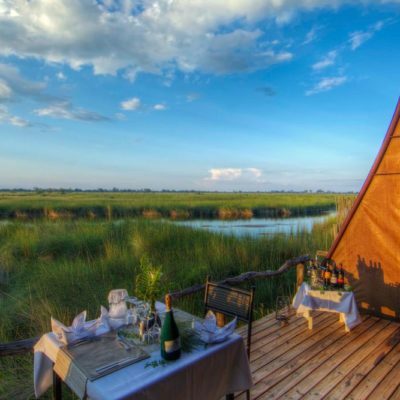 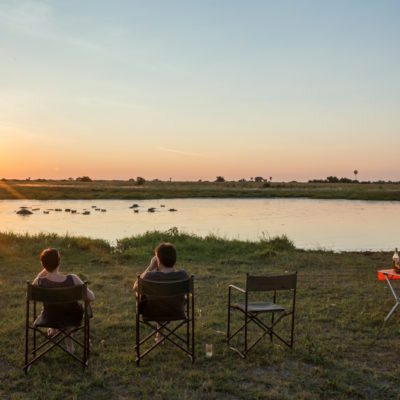 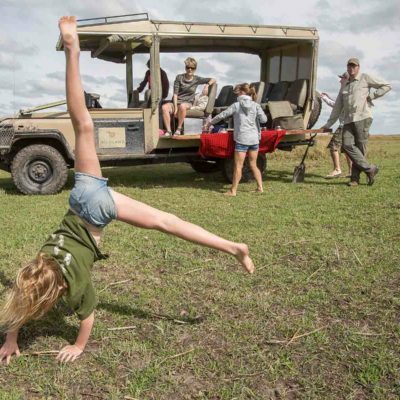 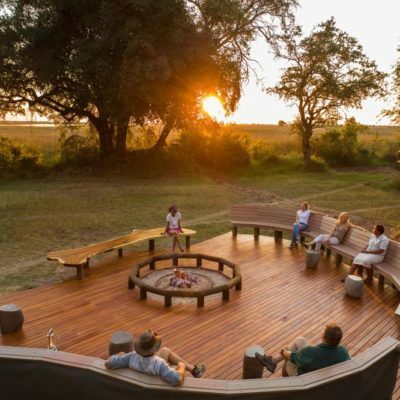 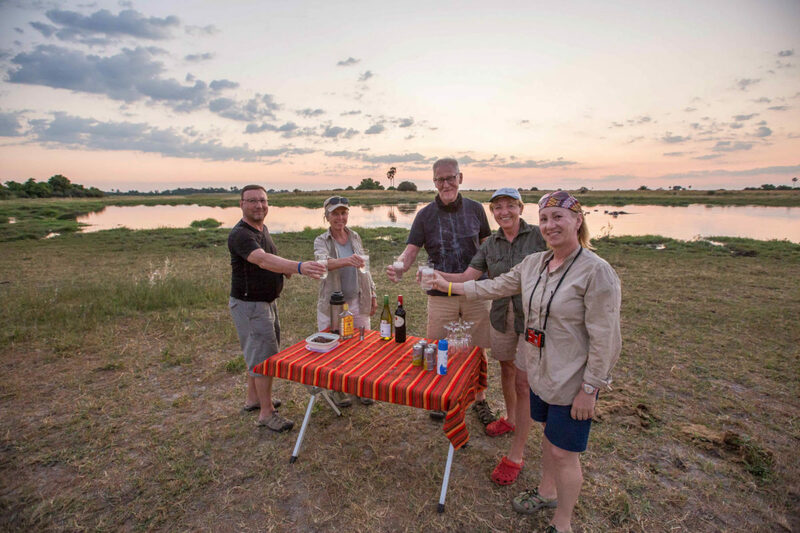 To get to some of the most remote parts of Moremi you should look at our mobile camping safaris.